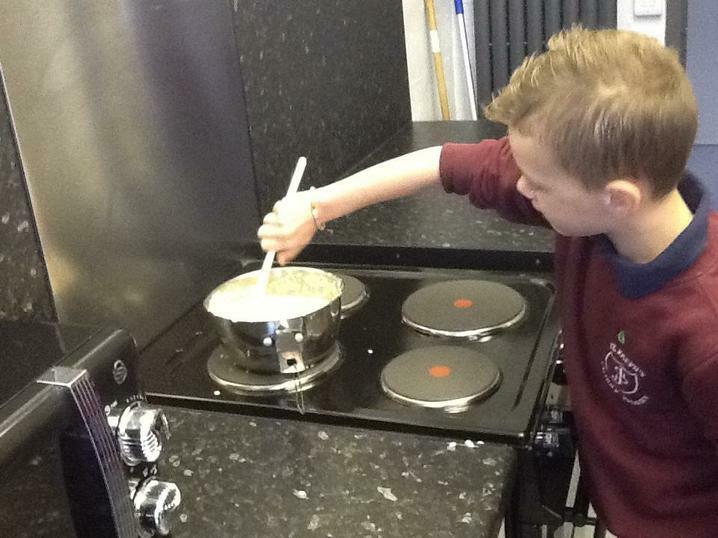 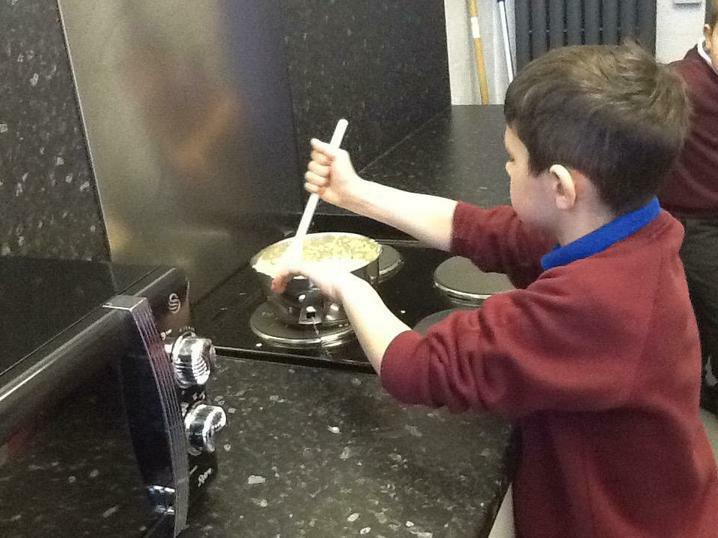 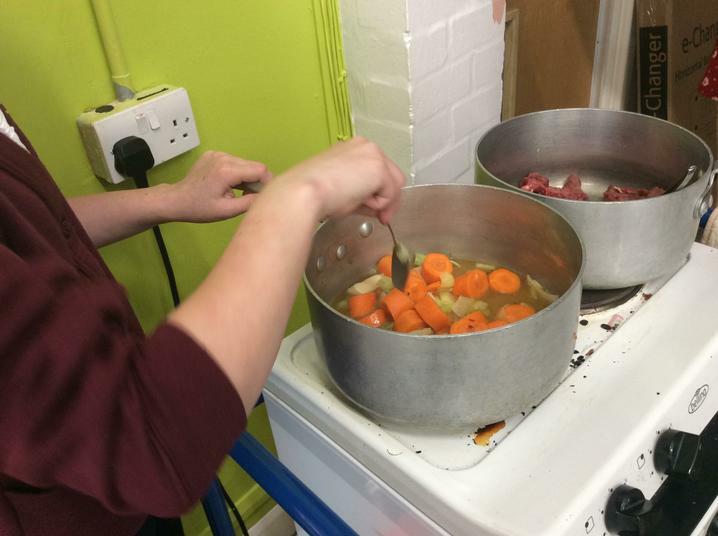 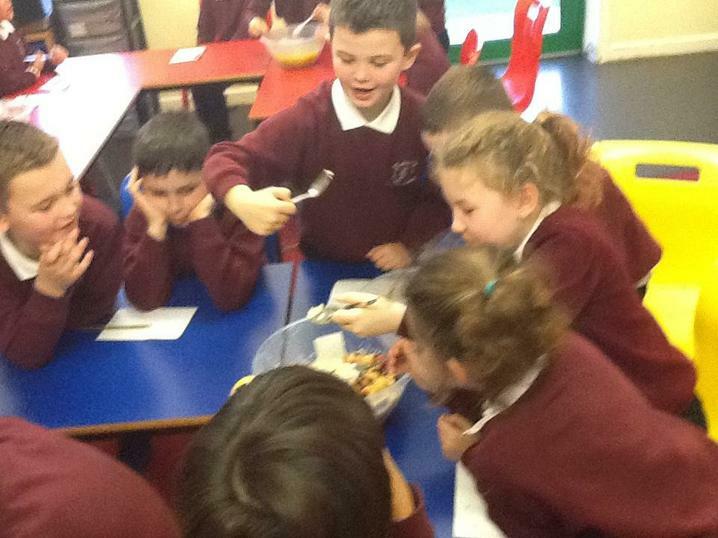 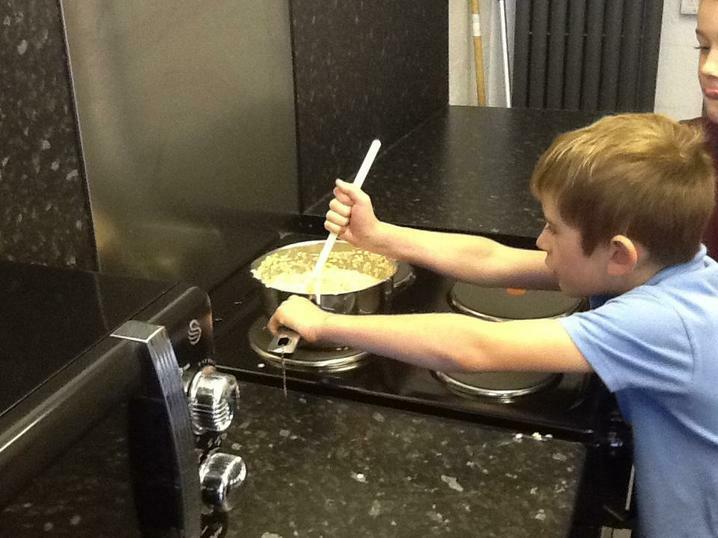 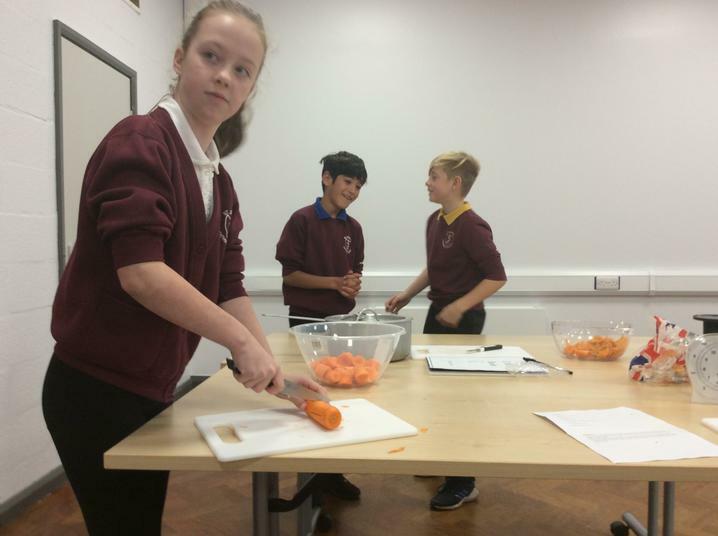 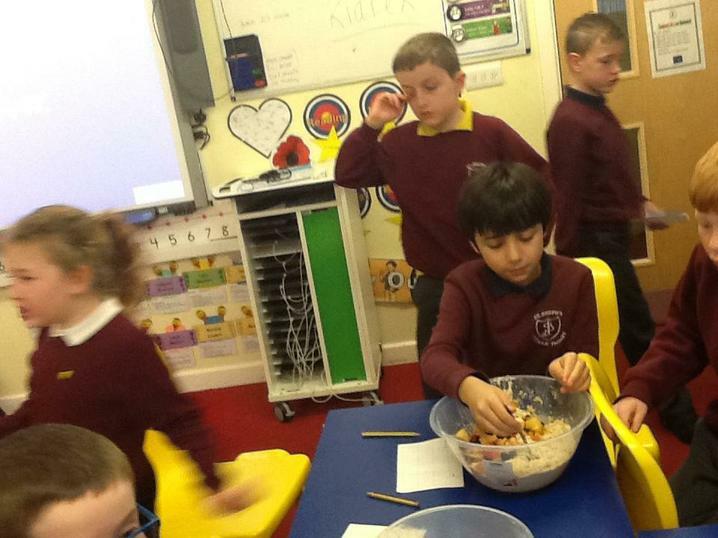 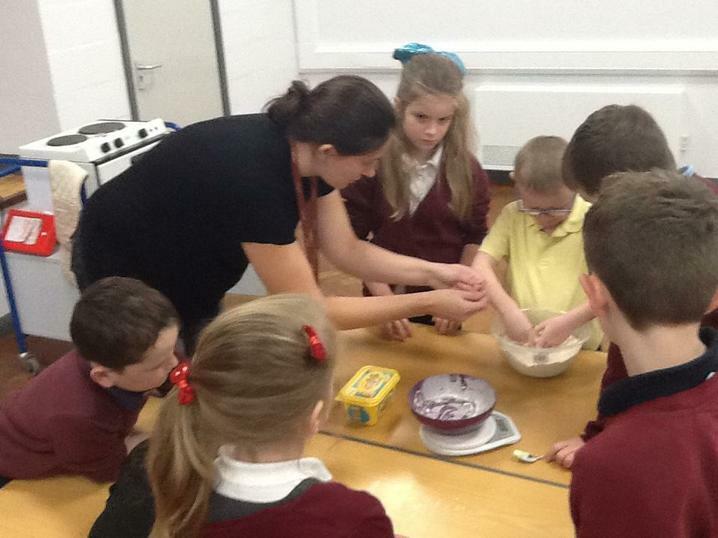 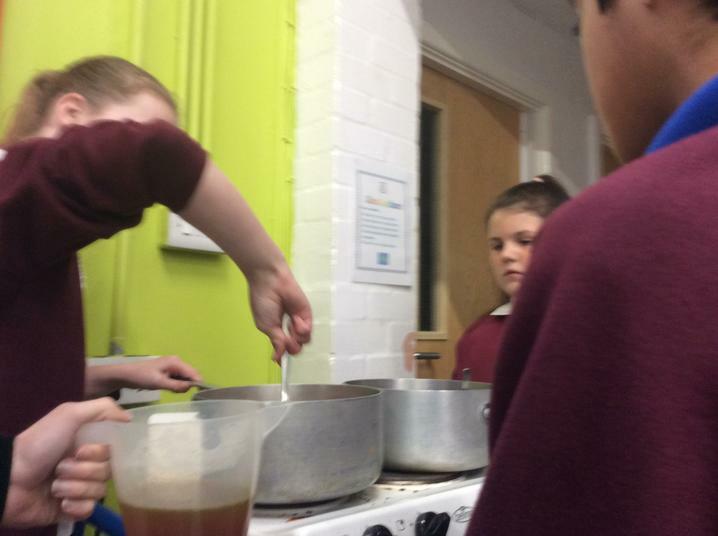 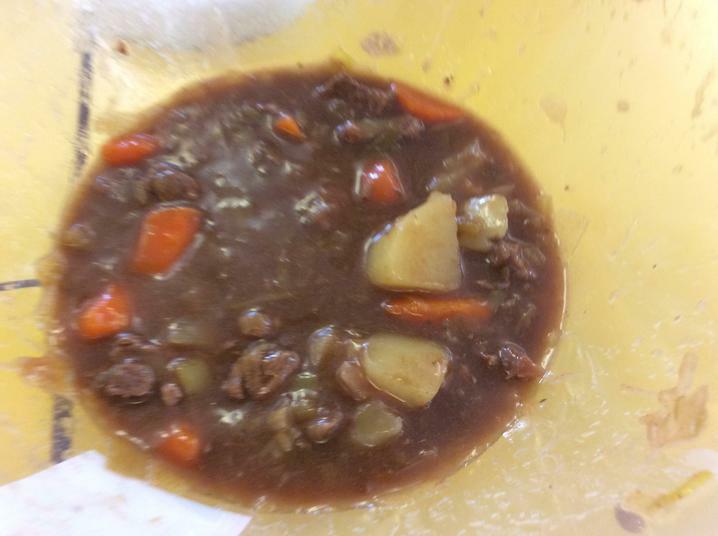 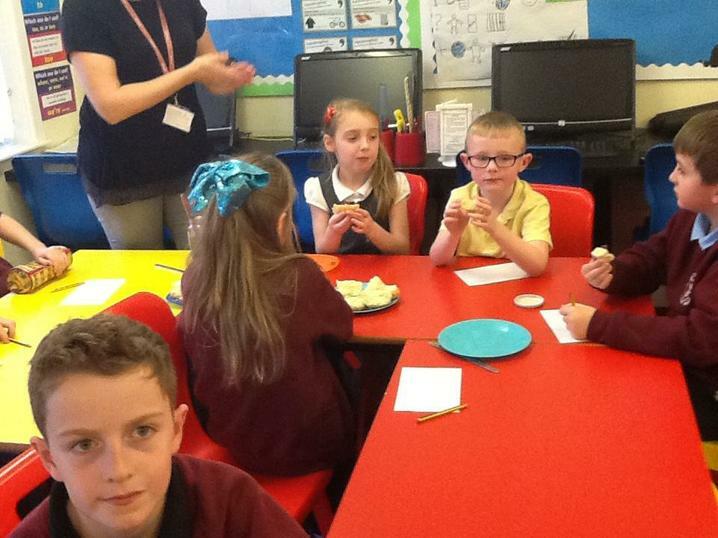 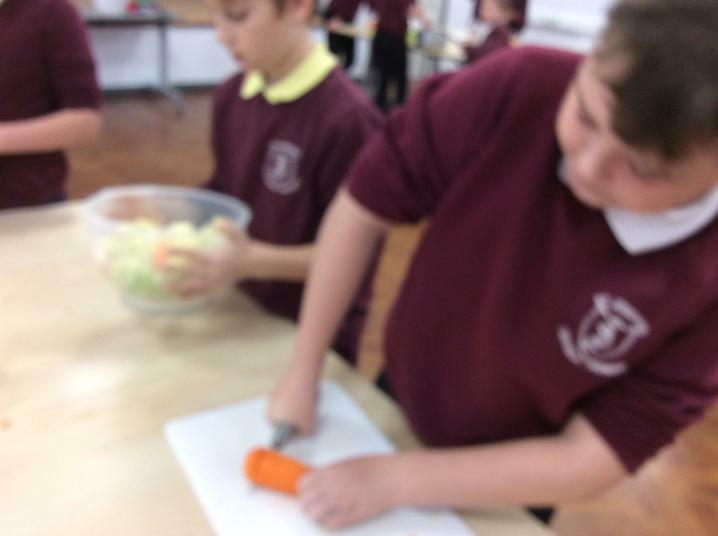 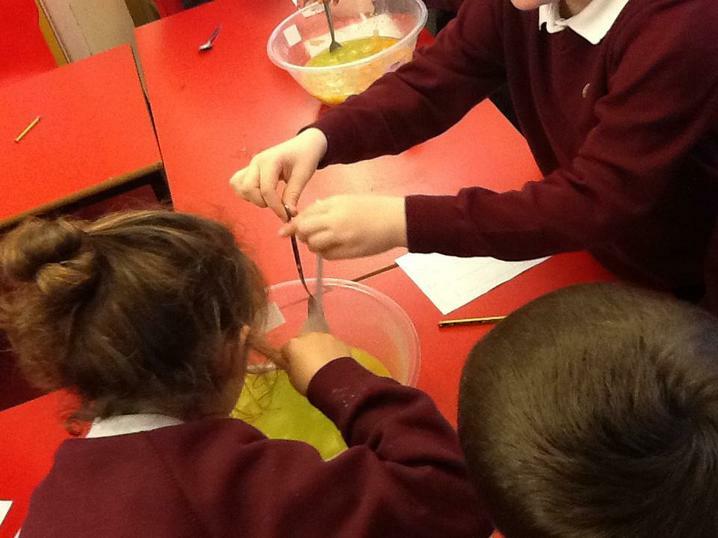 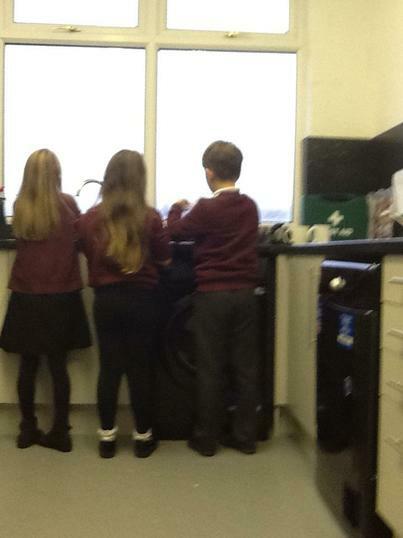 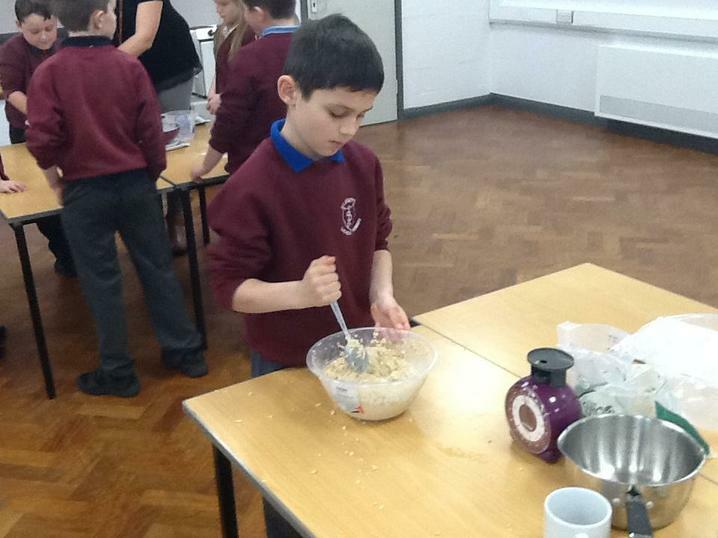 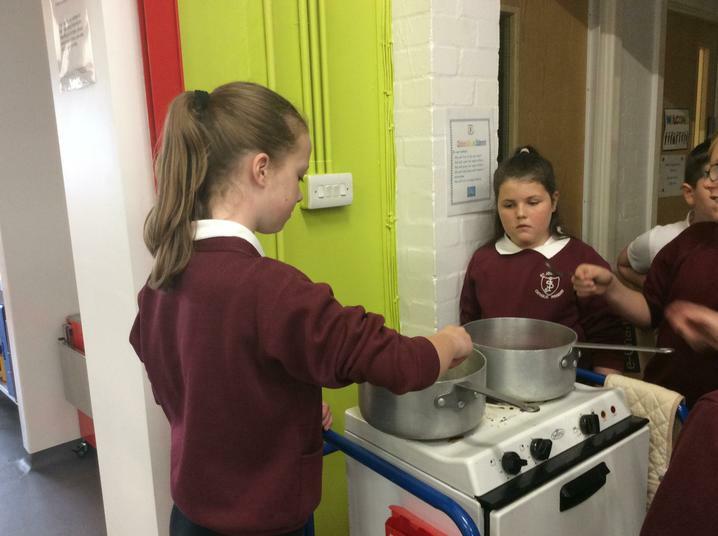 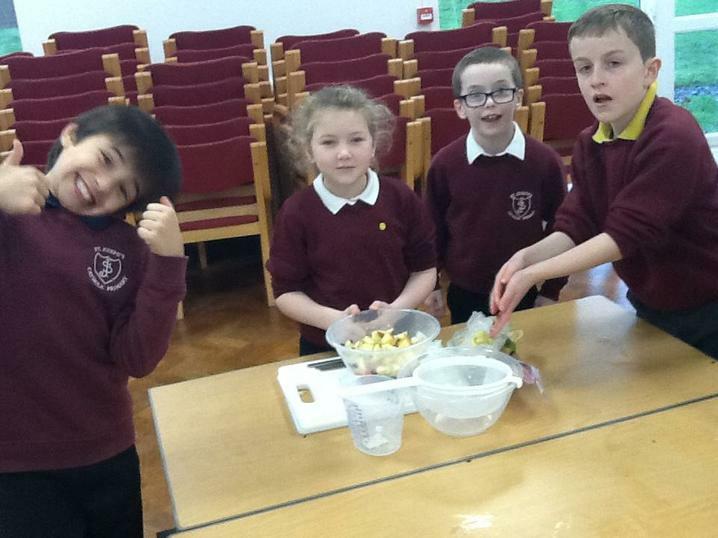 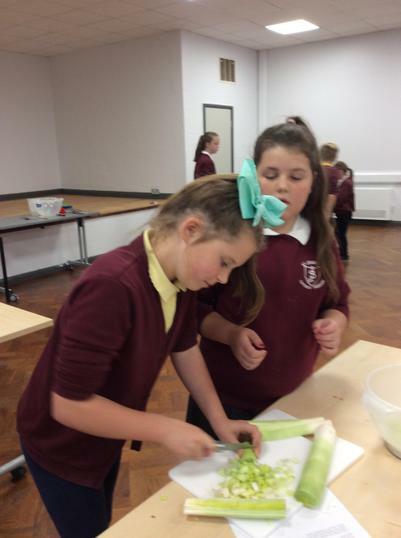 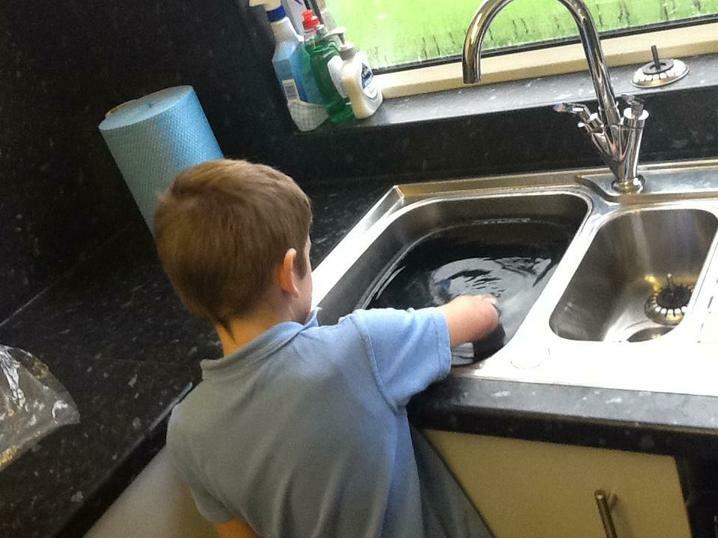 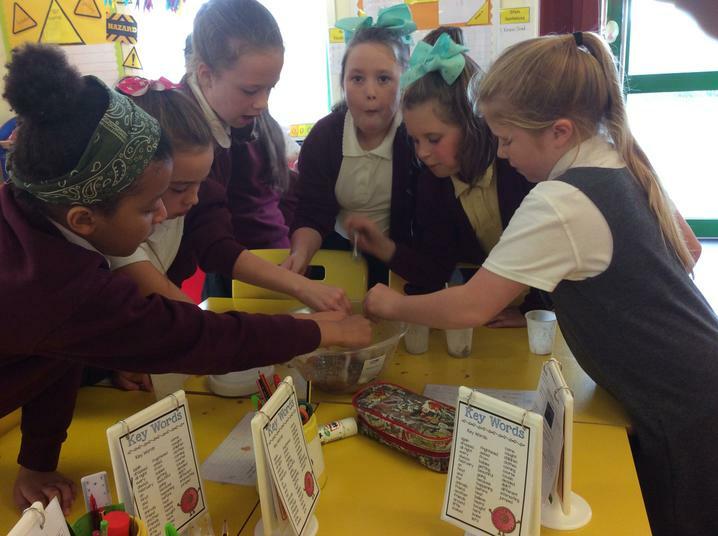 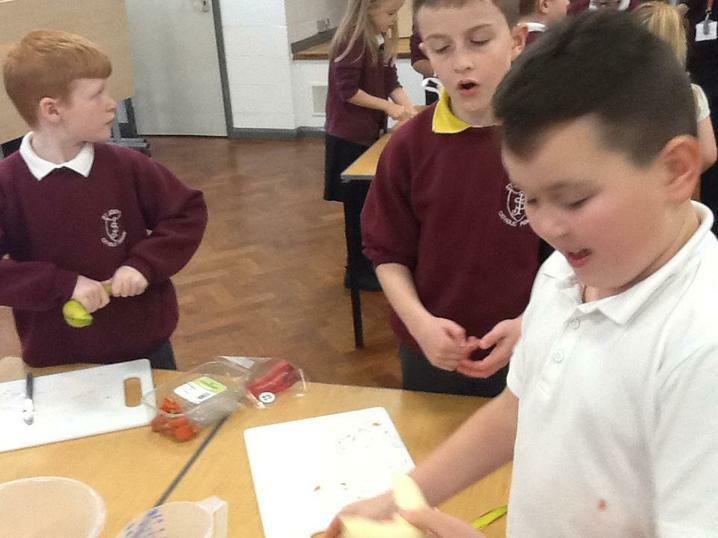 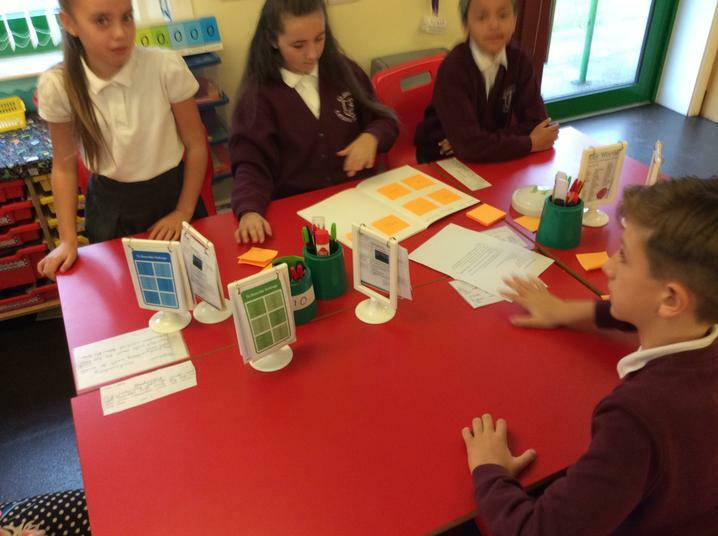 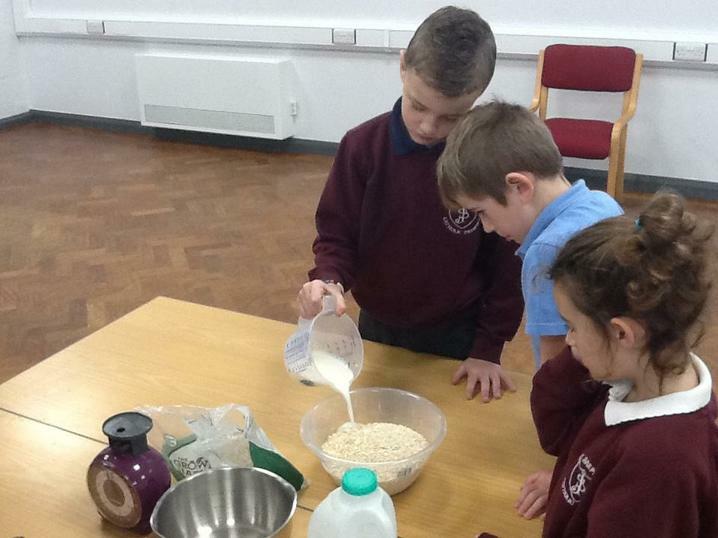 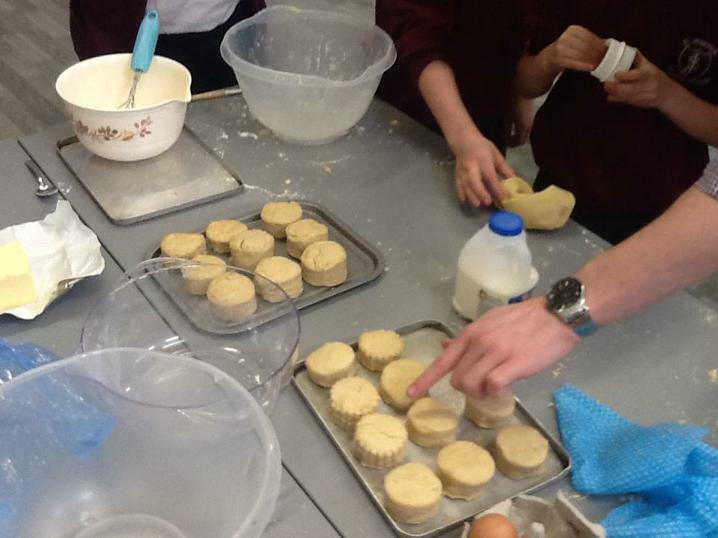 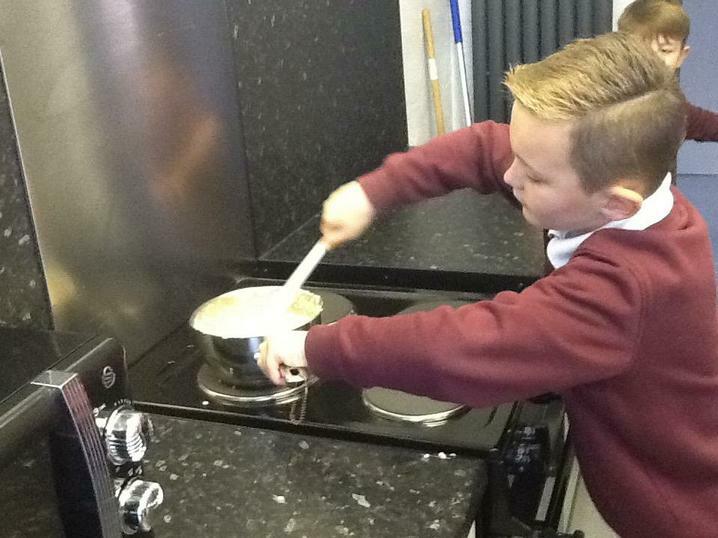 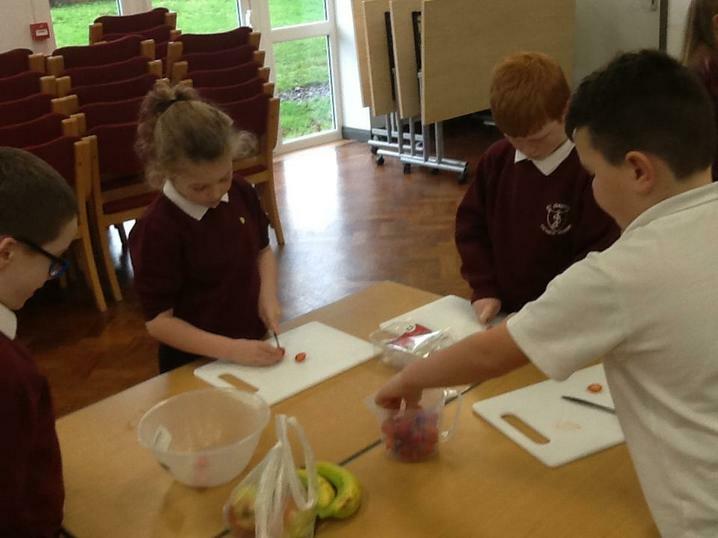 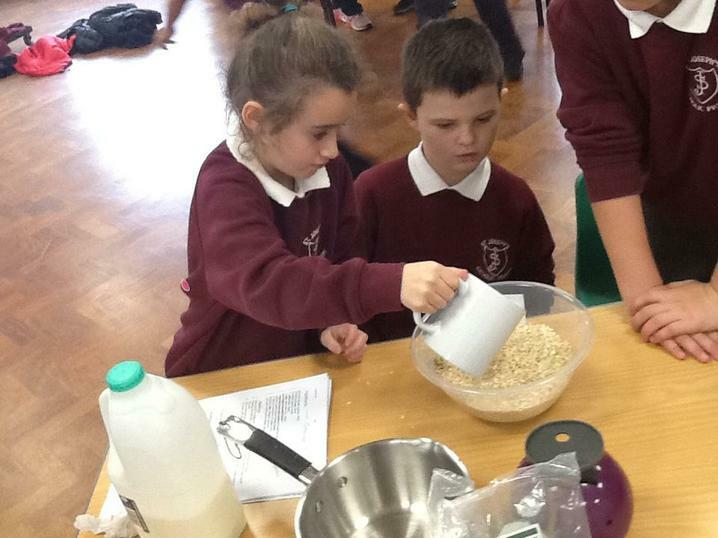 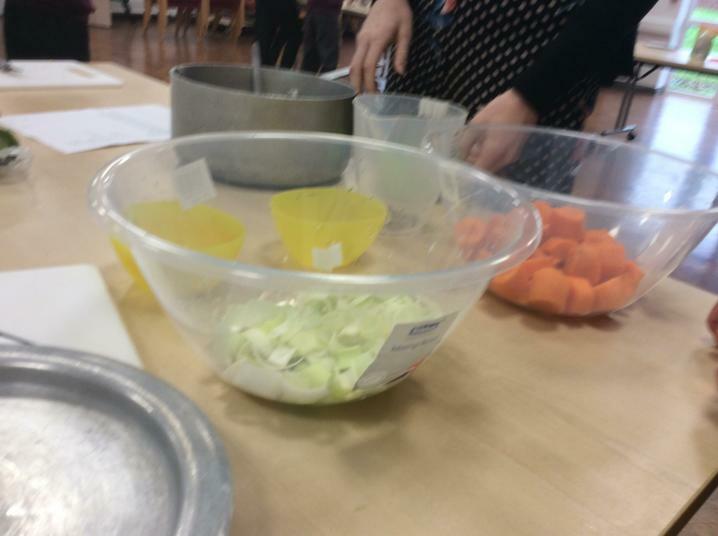 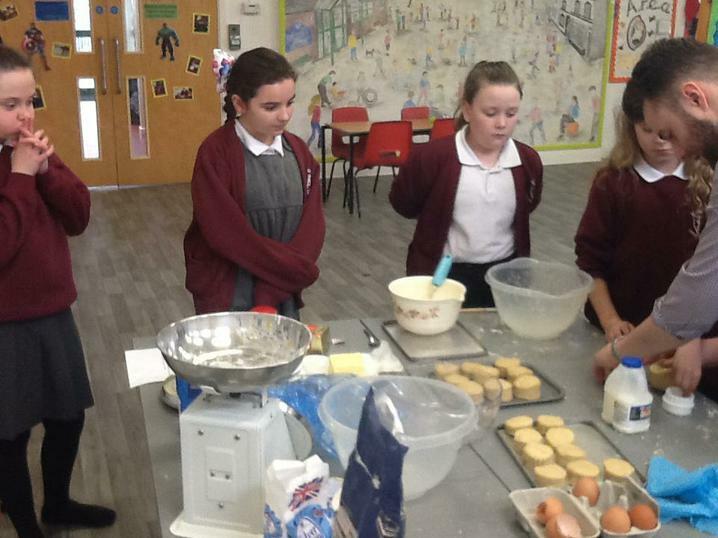 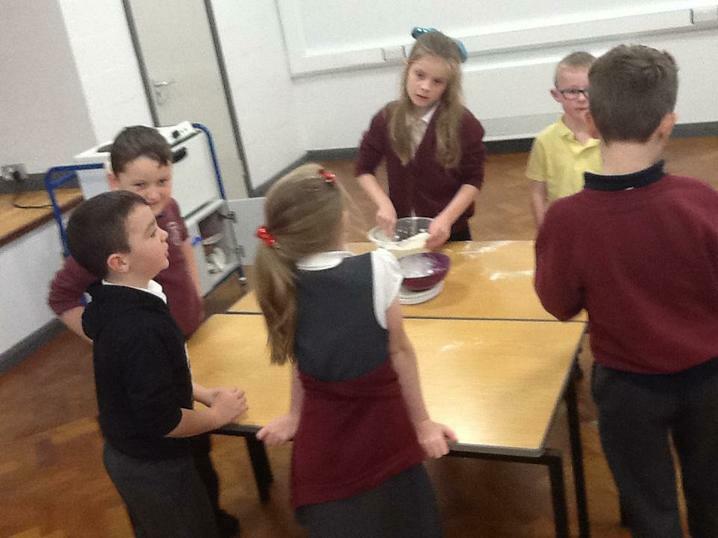 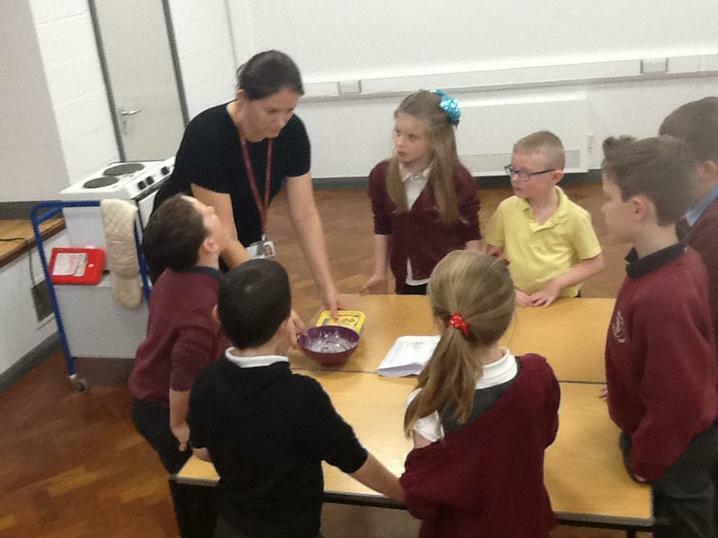 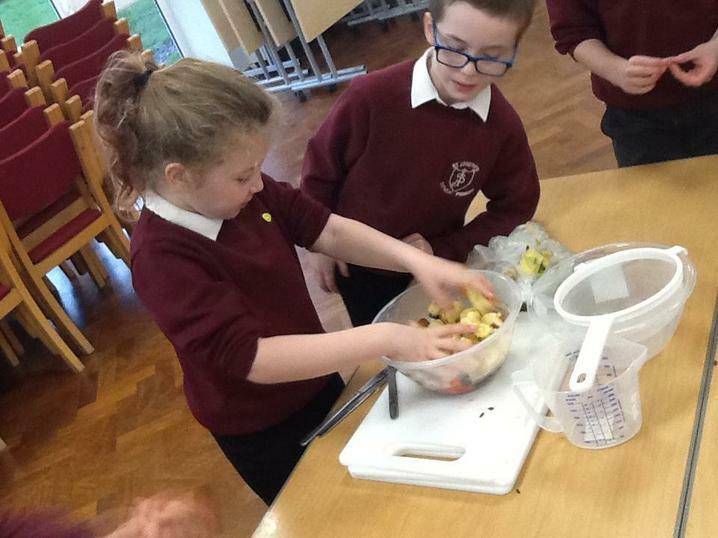 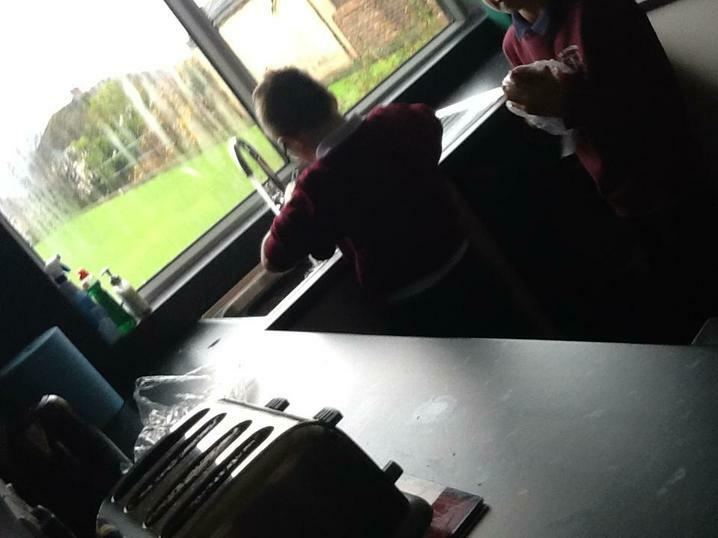 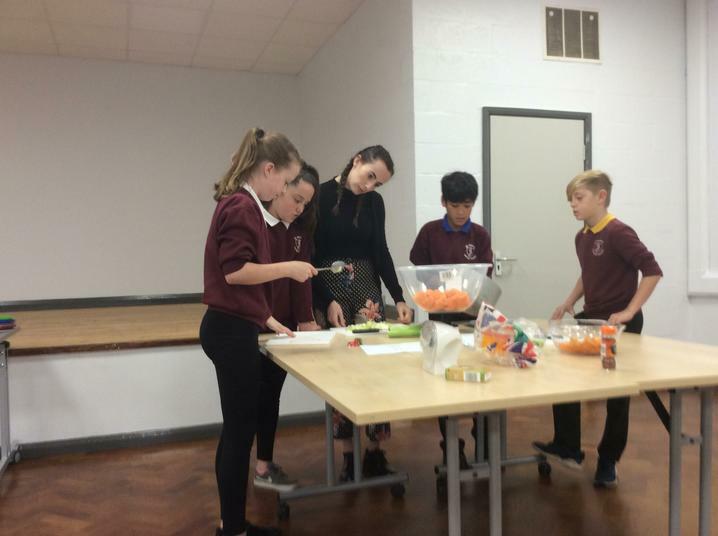 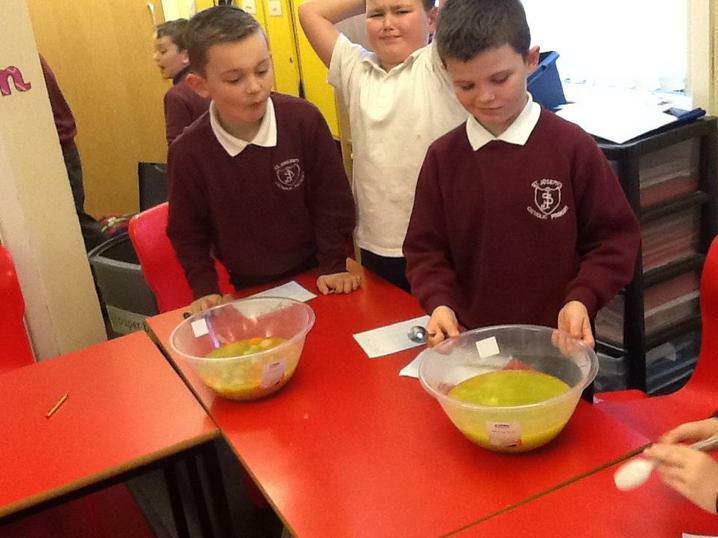 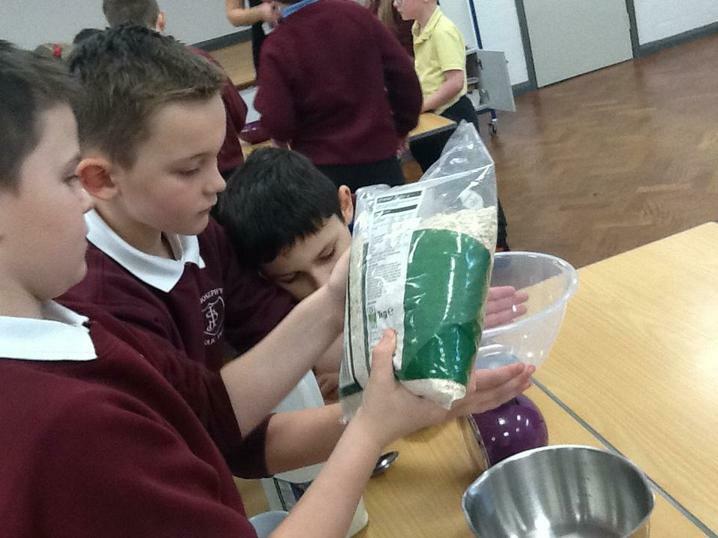 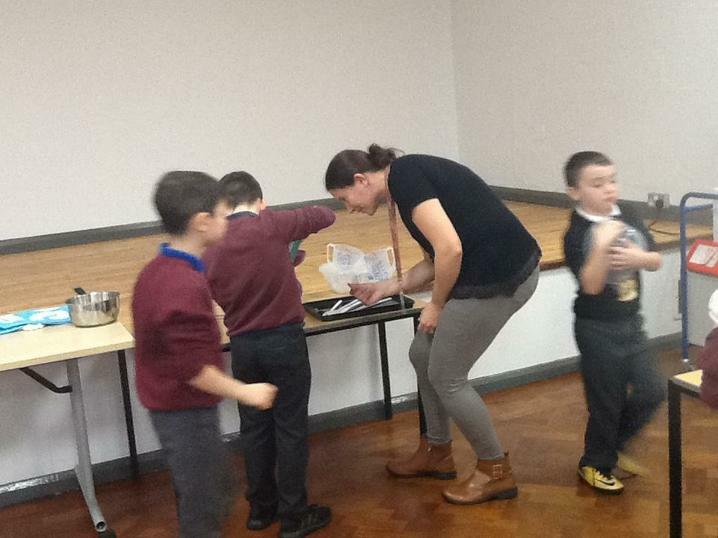 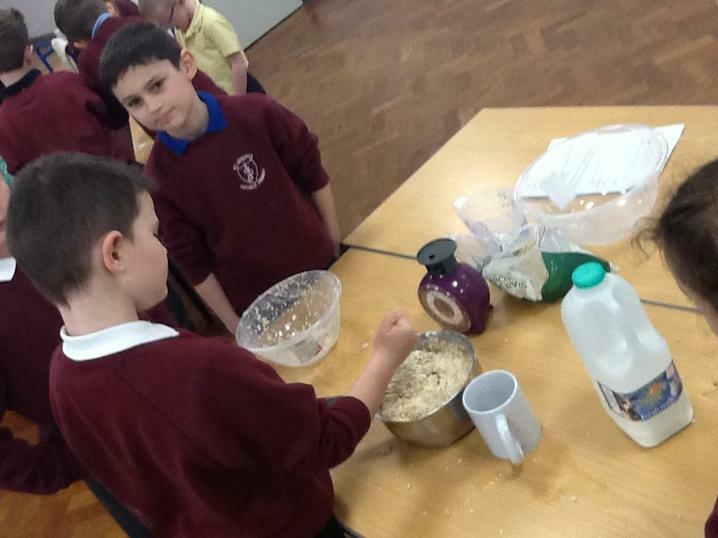 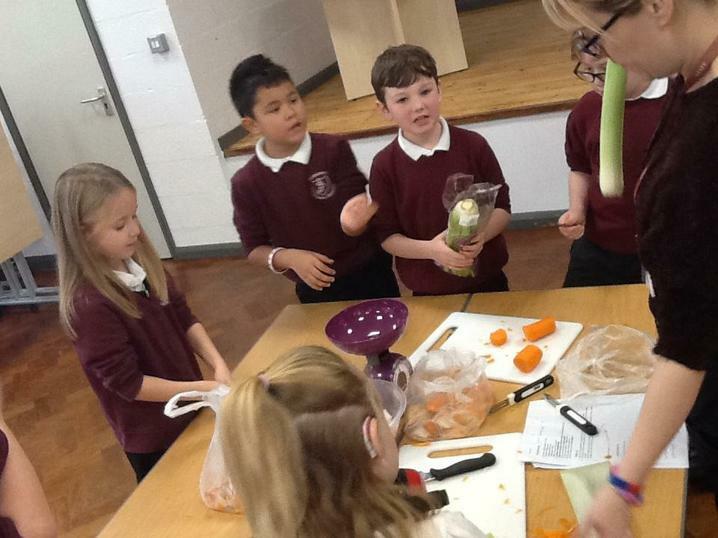 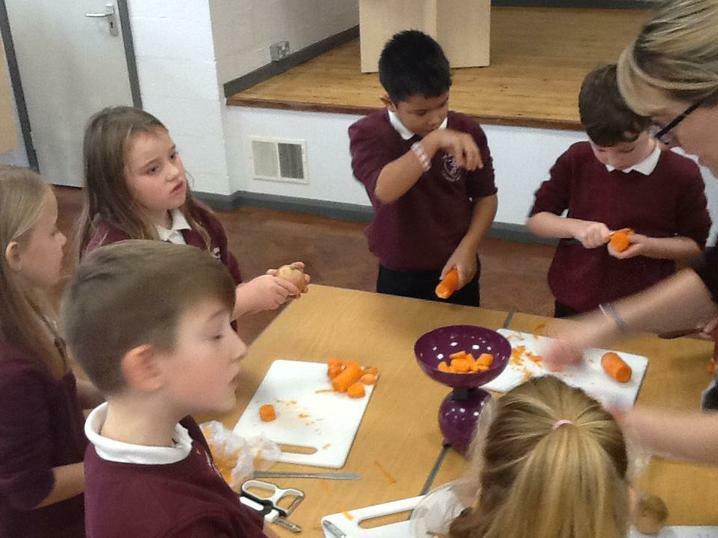 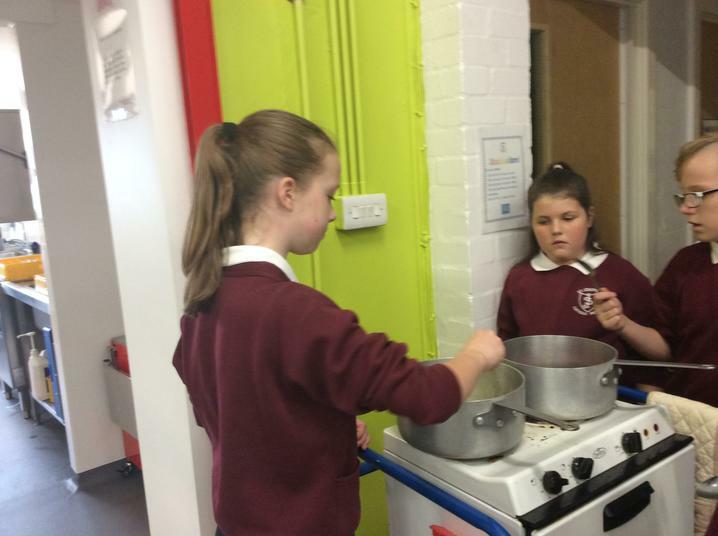 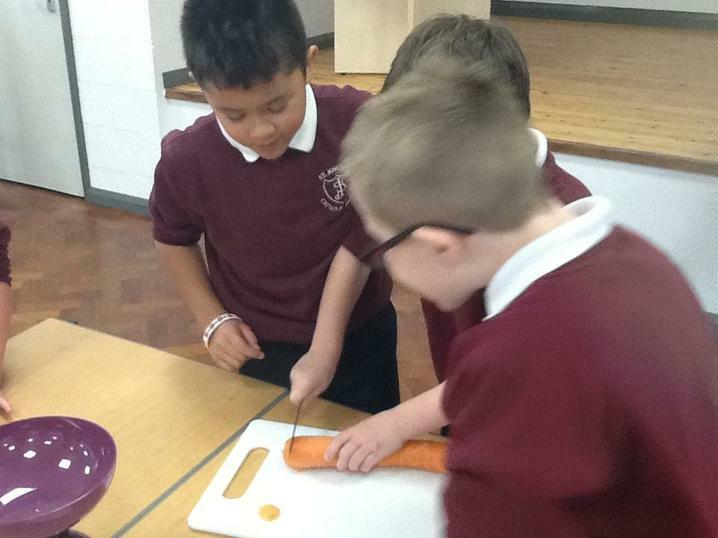 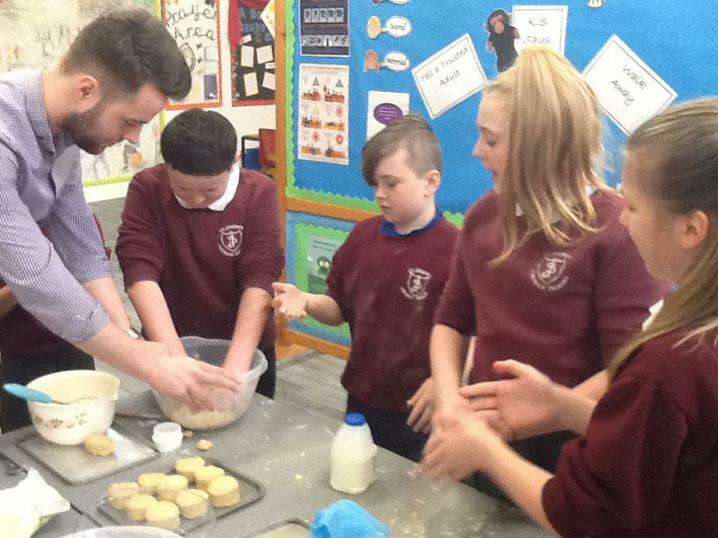 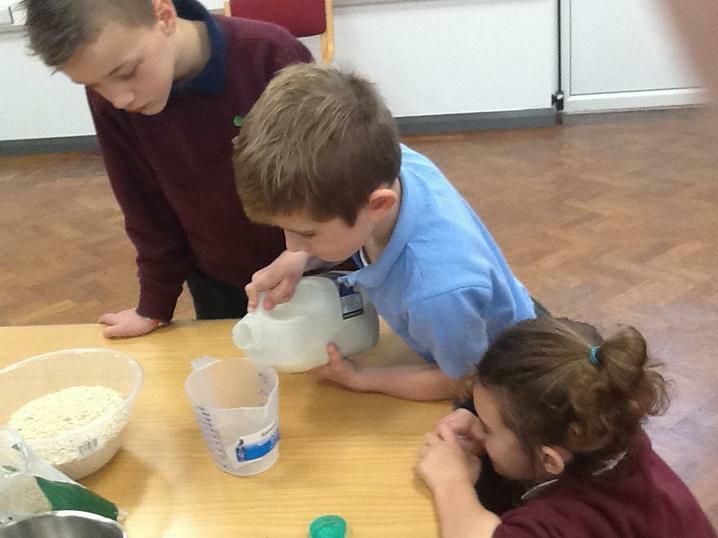 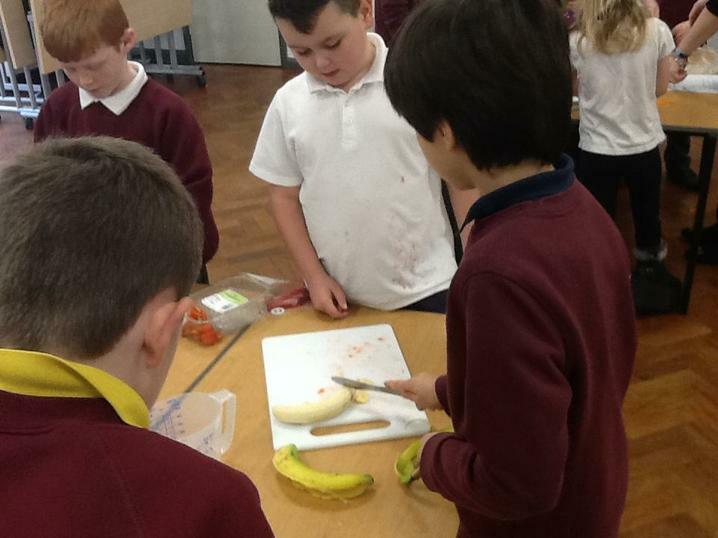 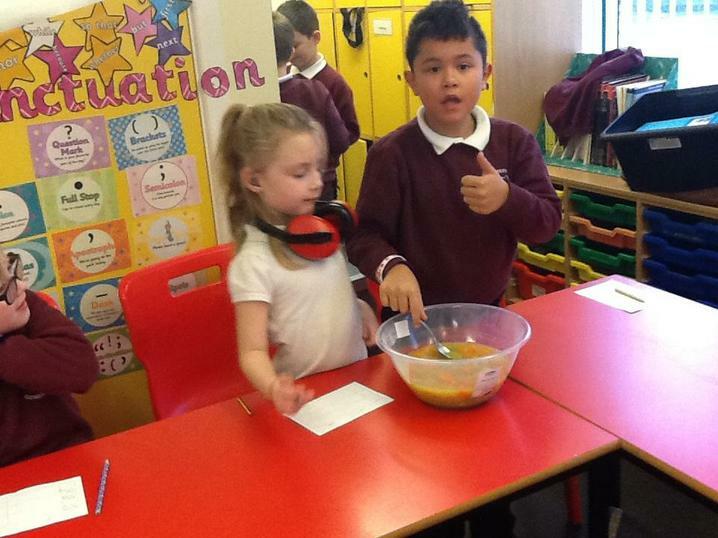 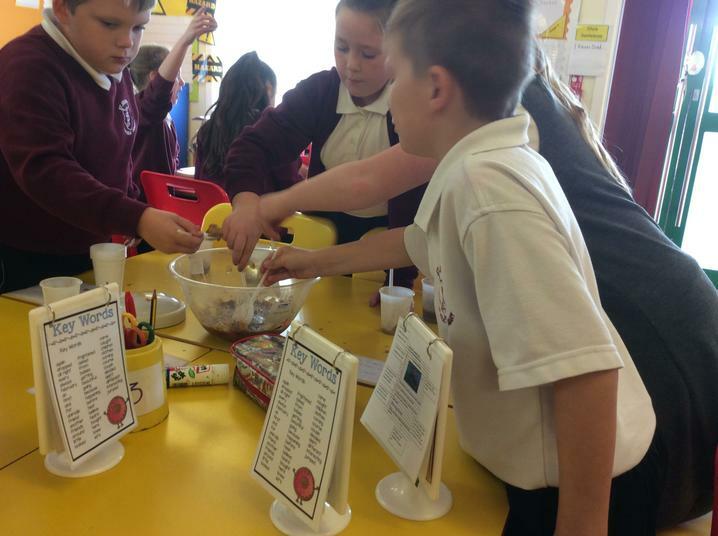 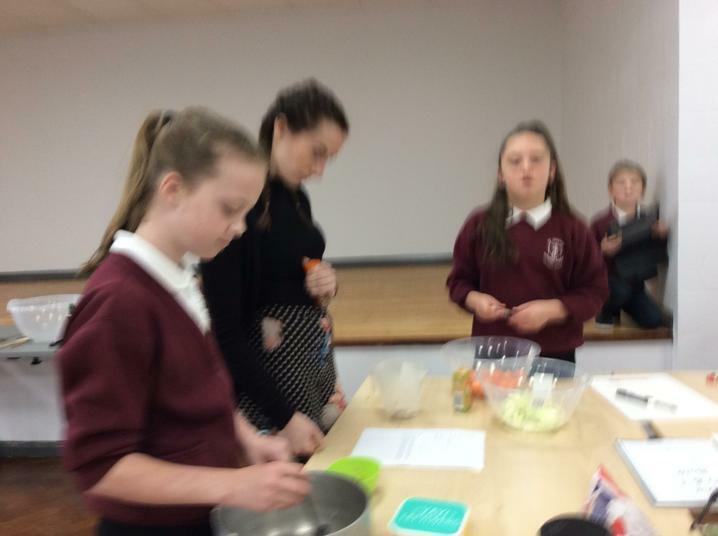 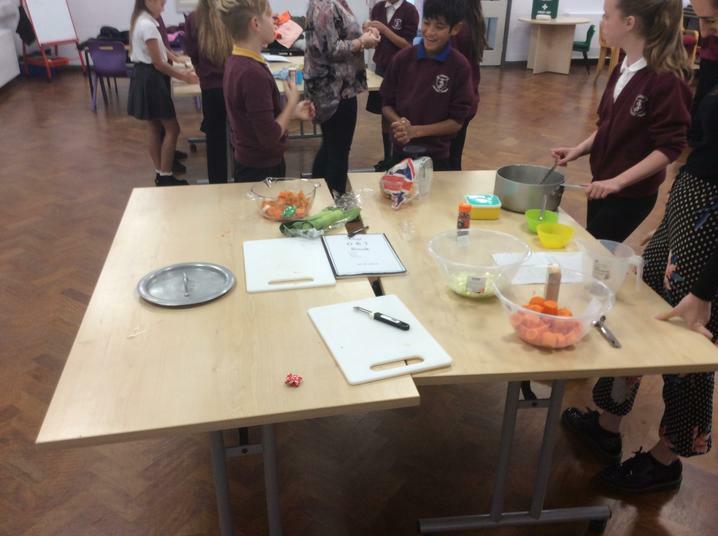 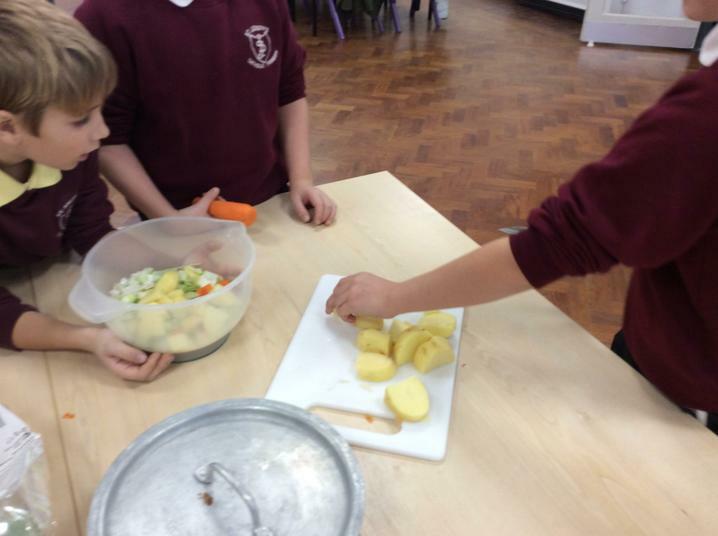 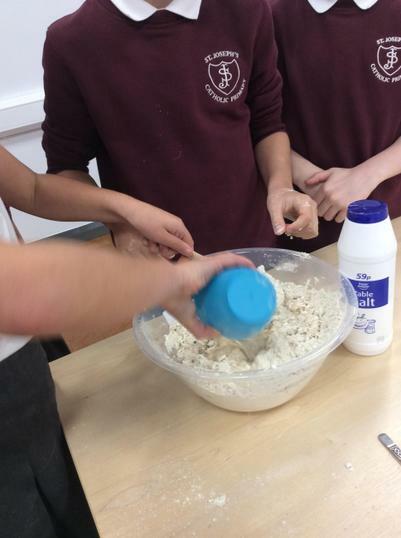 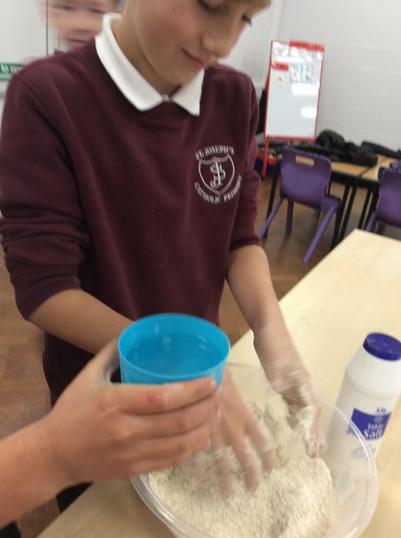 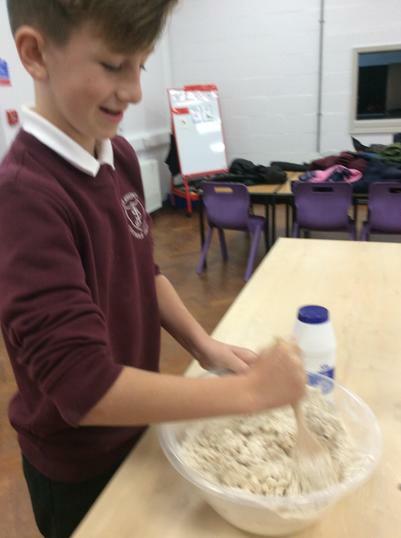 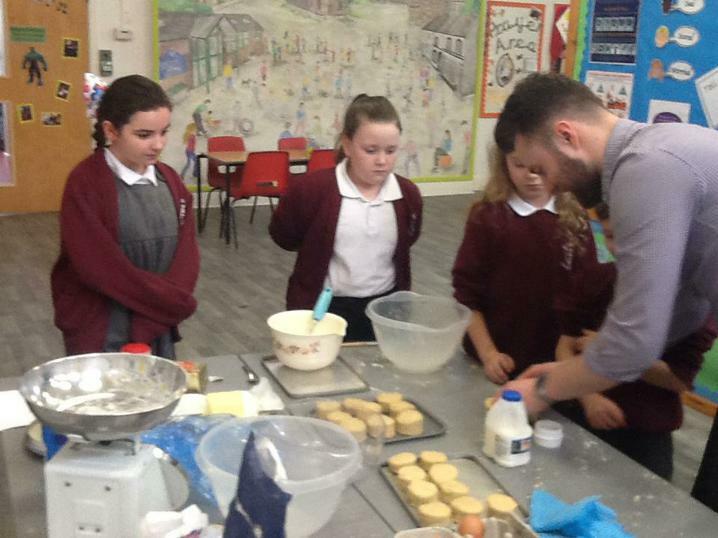 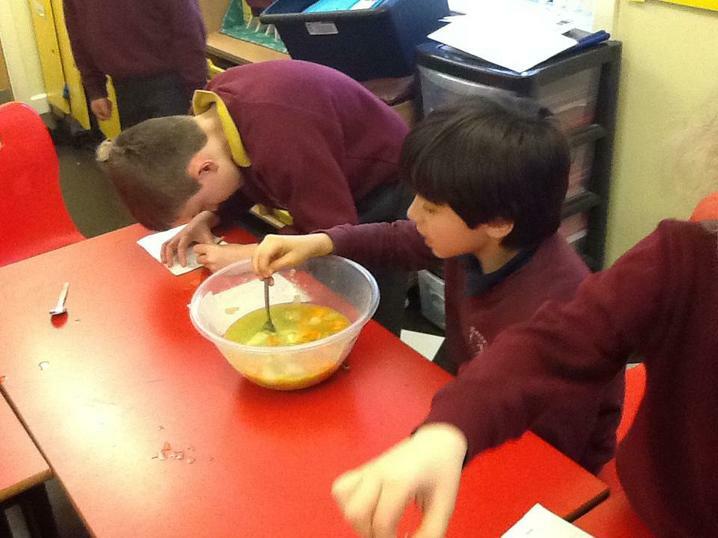 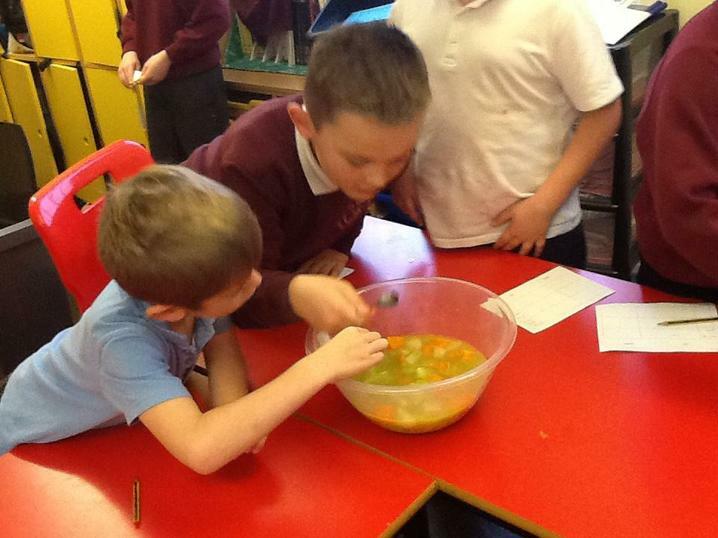 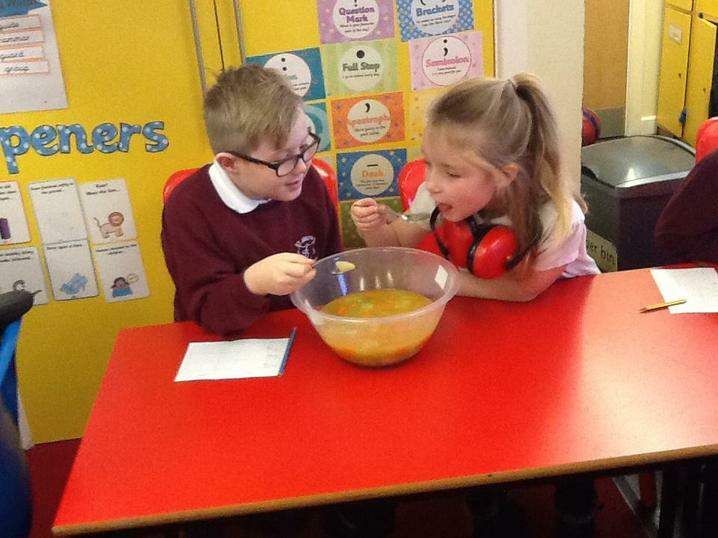 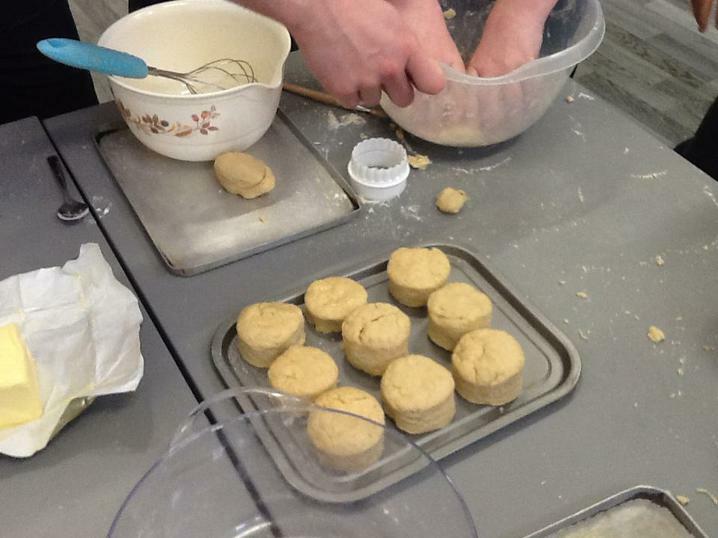 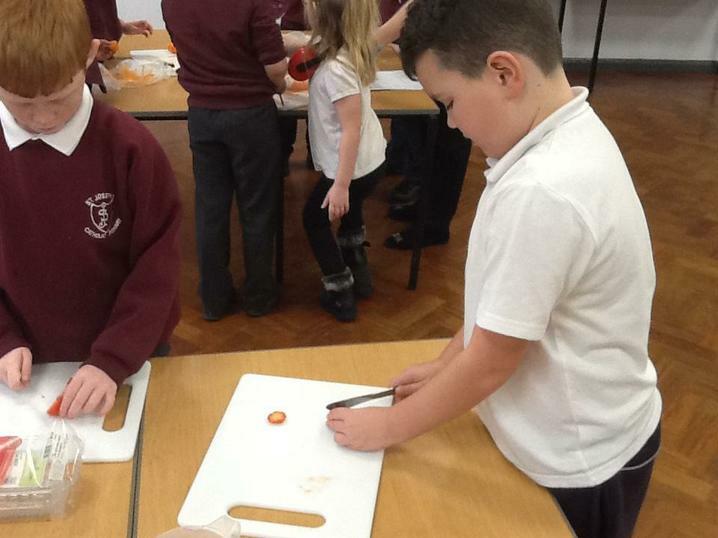 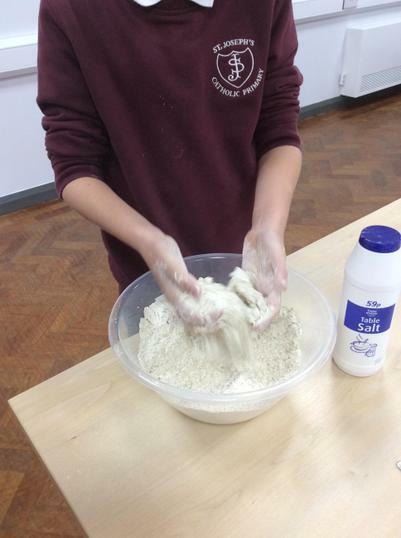 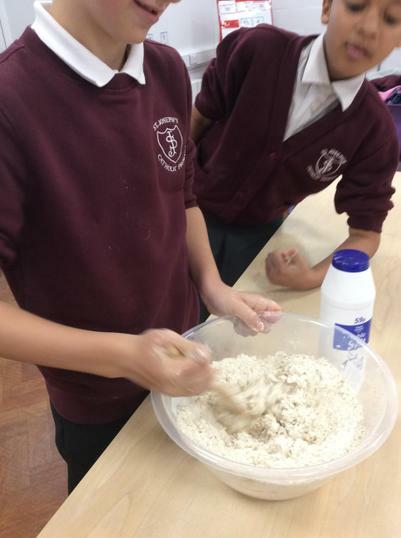 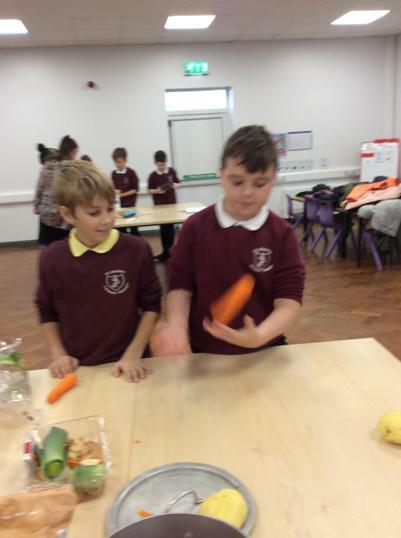 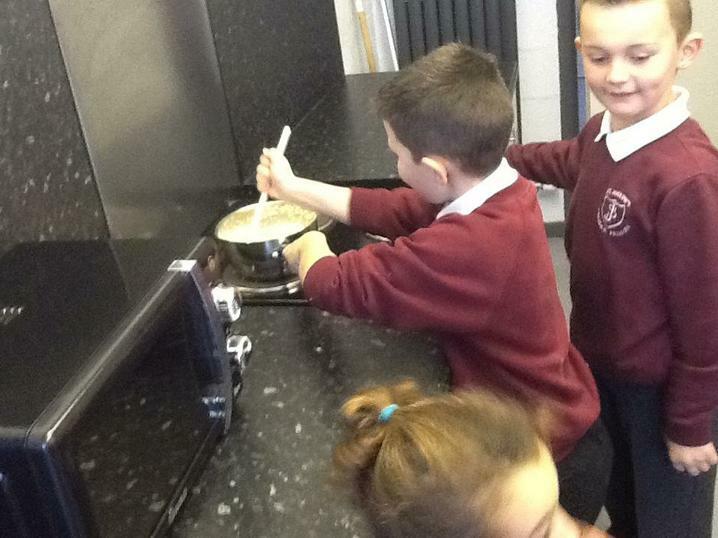 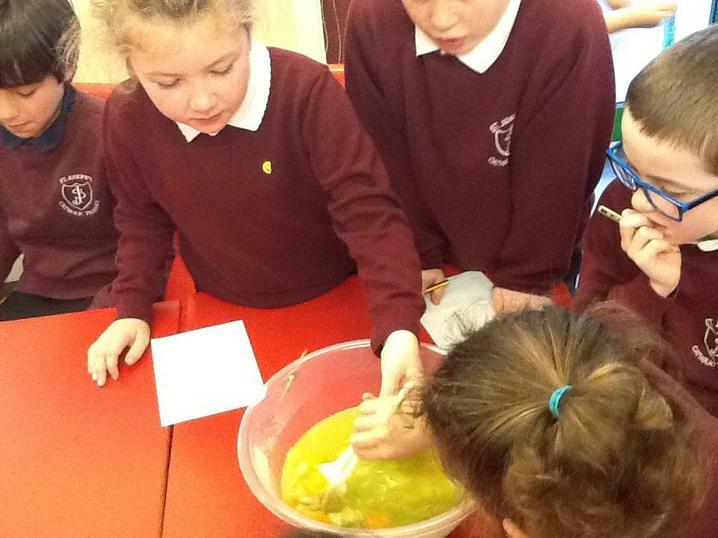 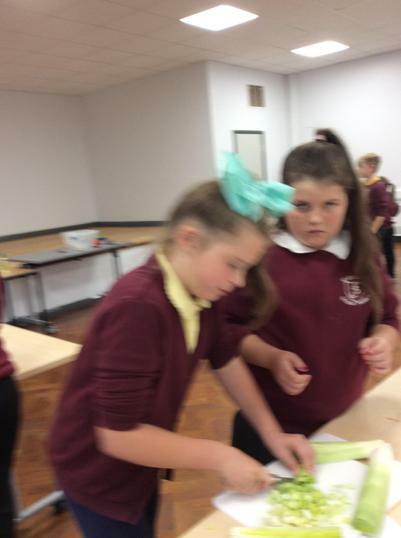 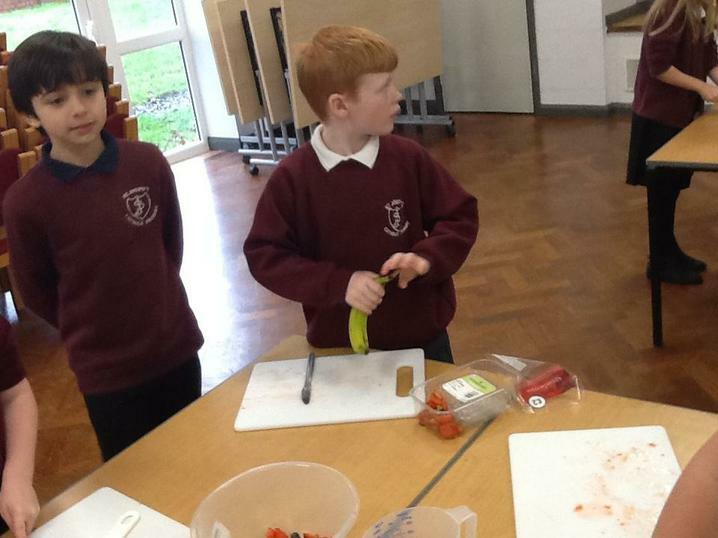 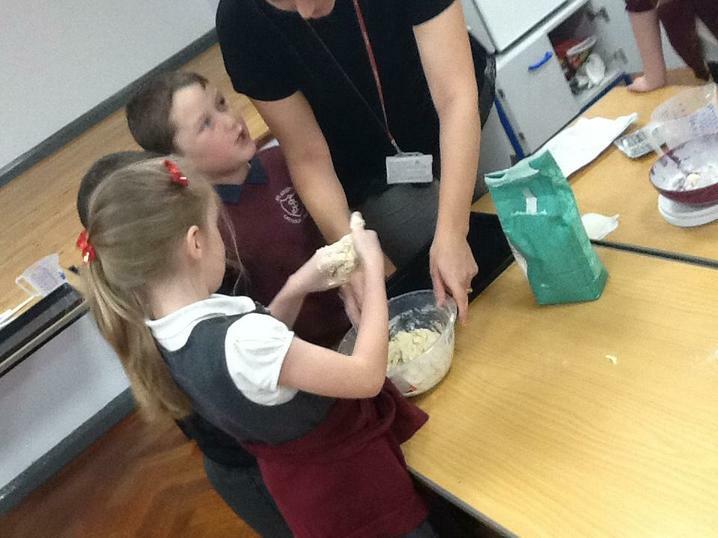 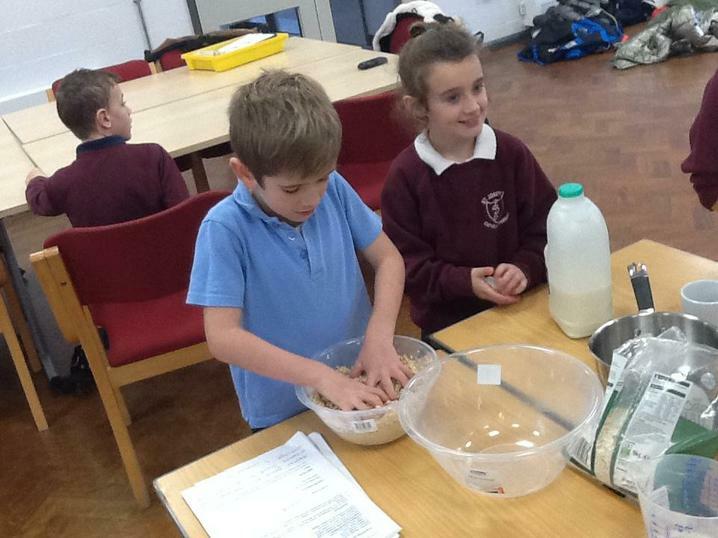 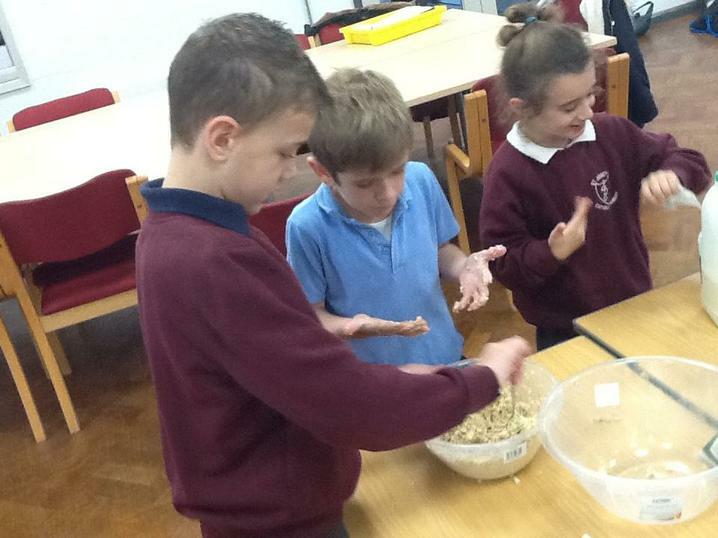 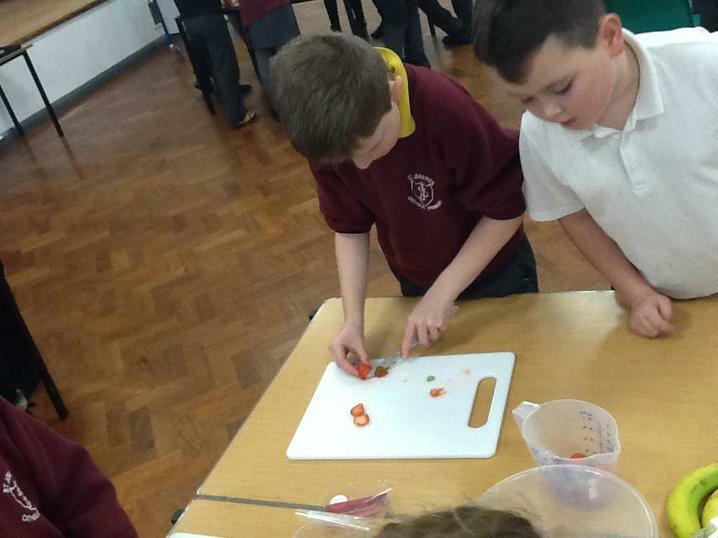 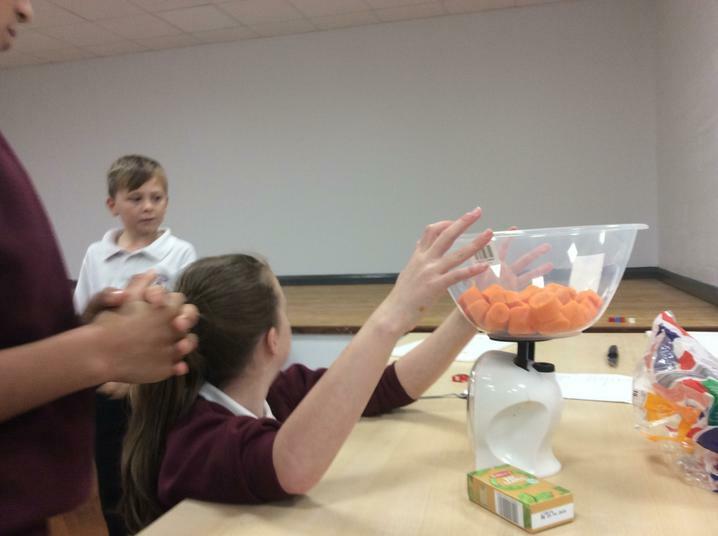 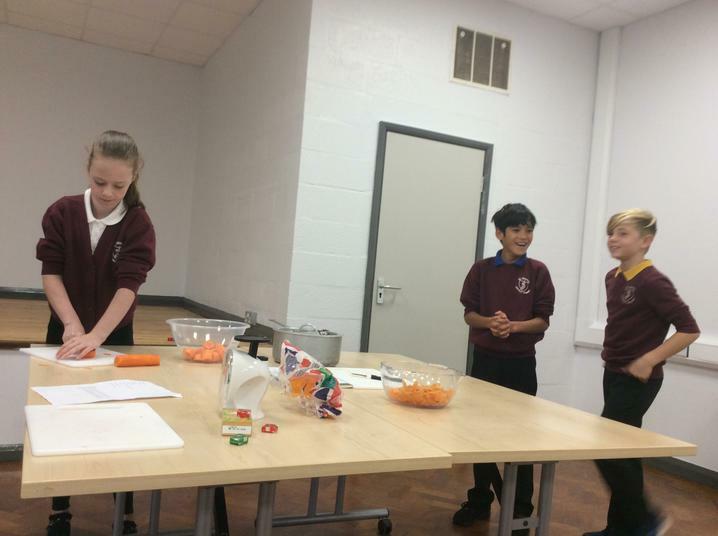 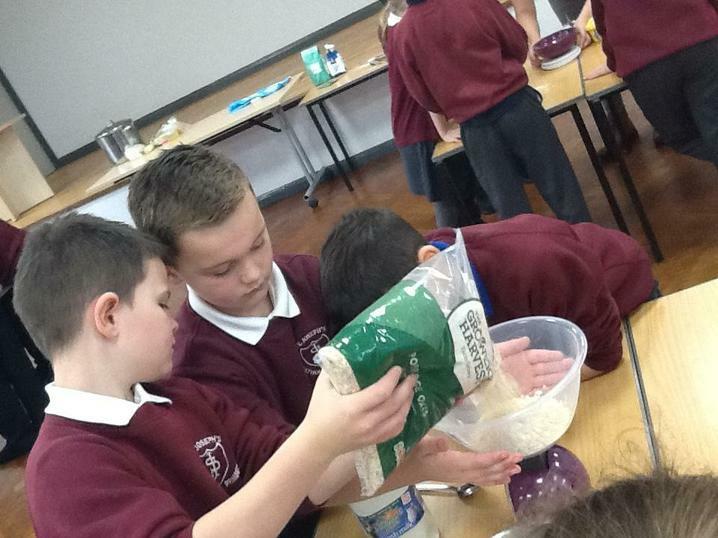 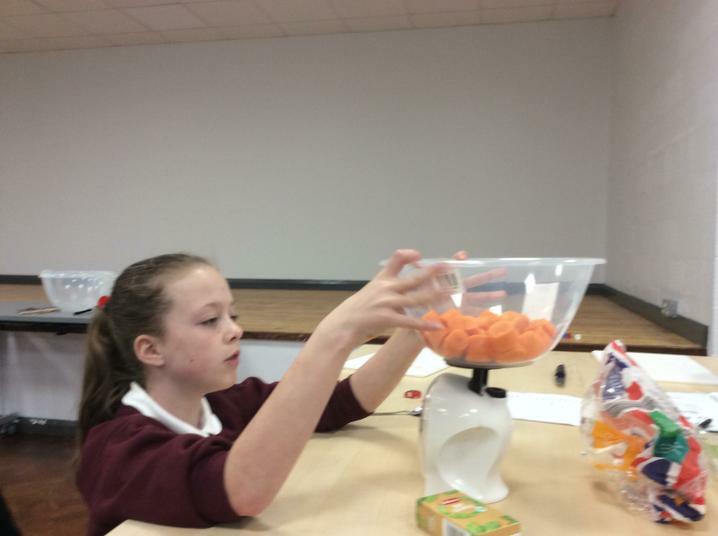 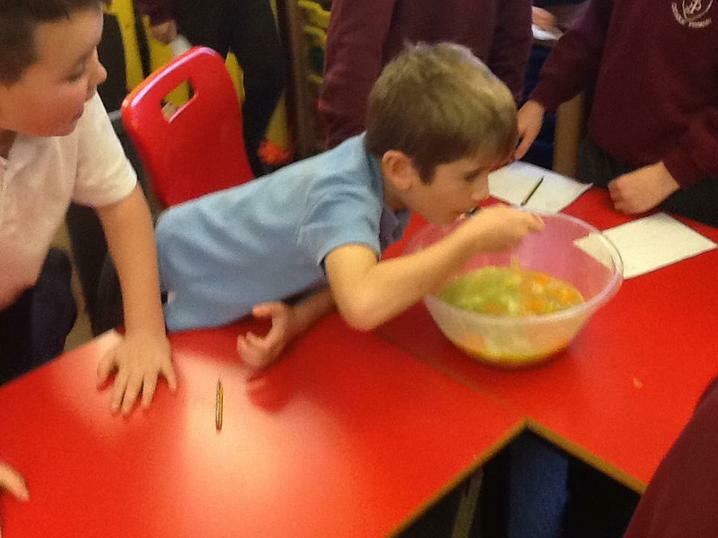 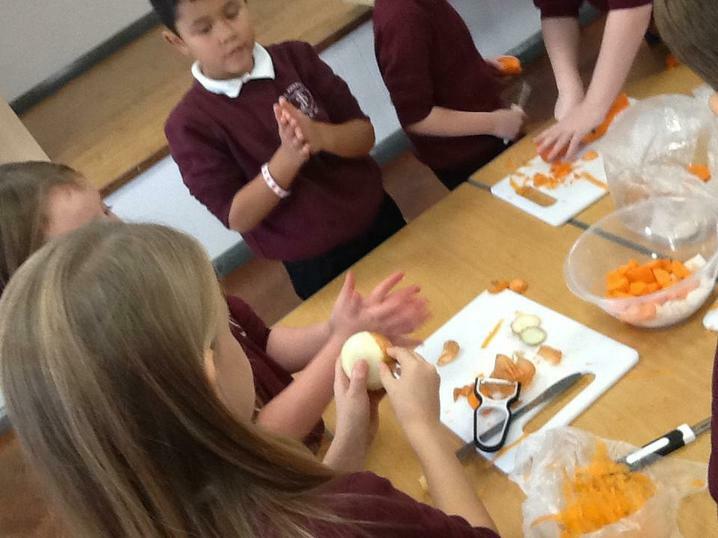 Class Three have been preparing and making healthy meals for miners. 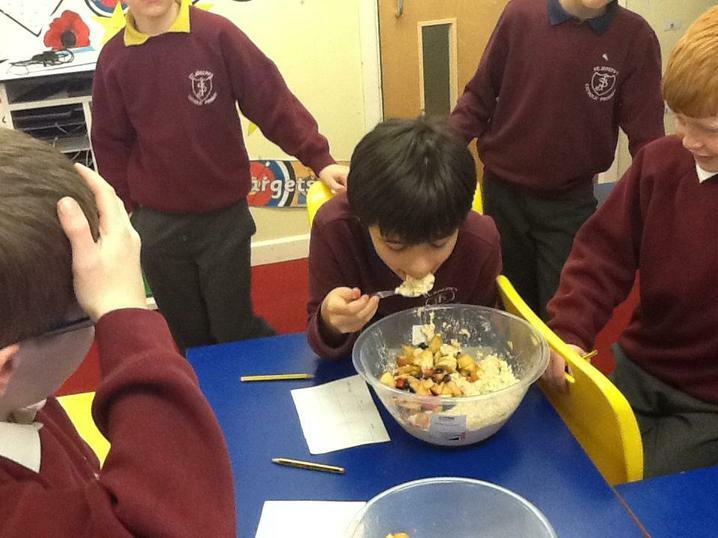 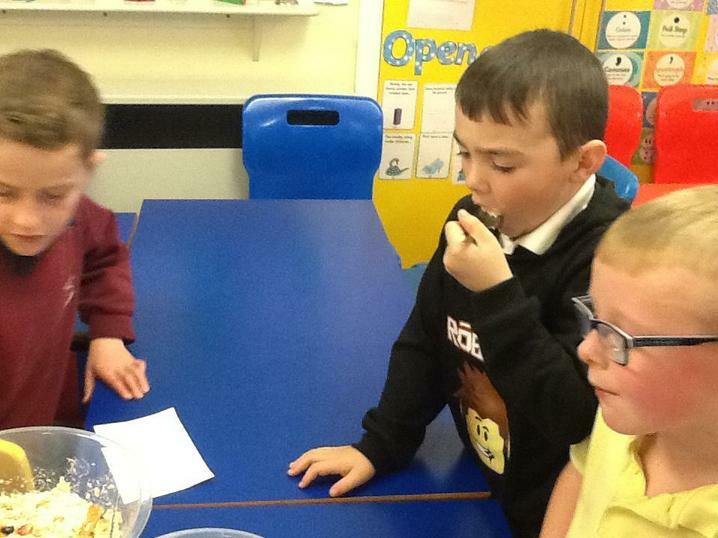 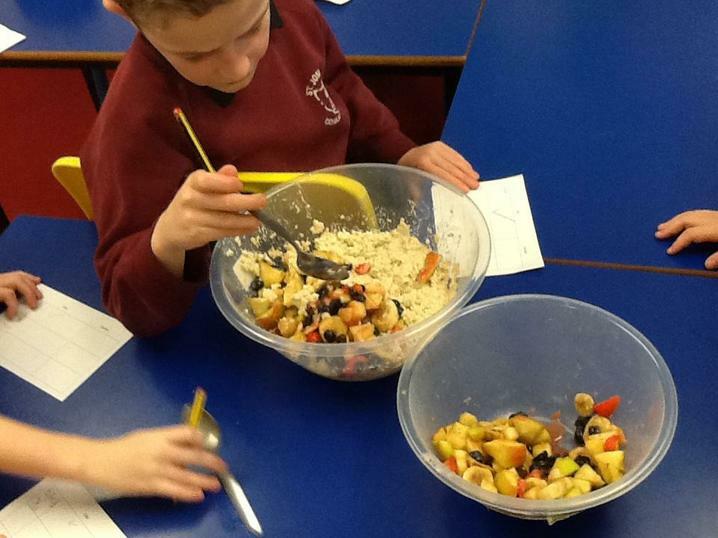 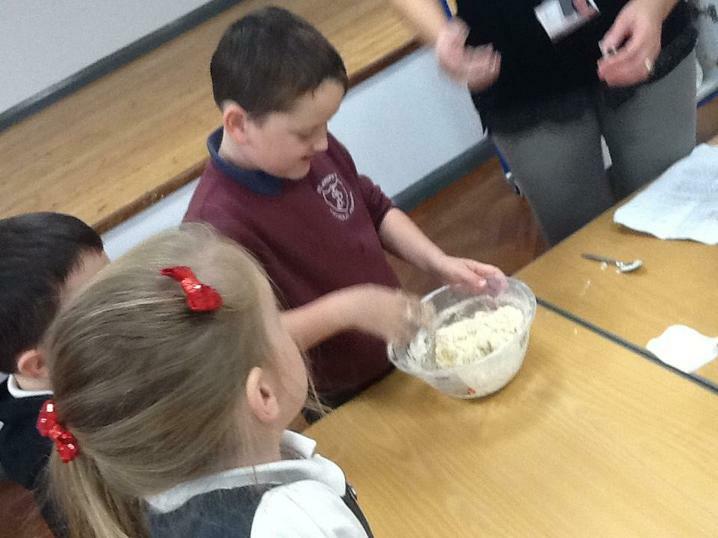 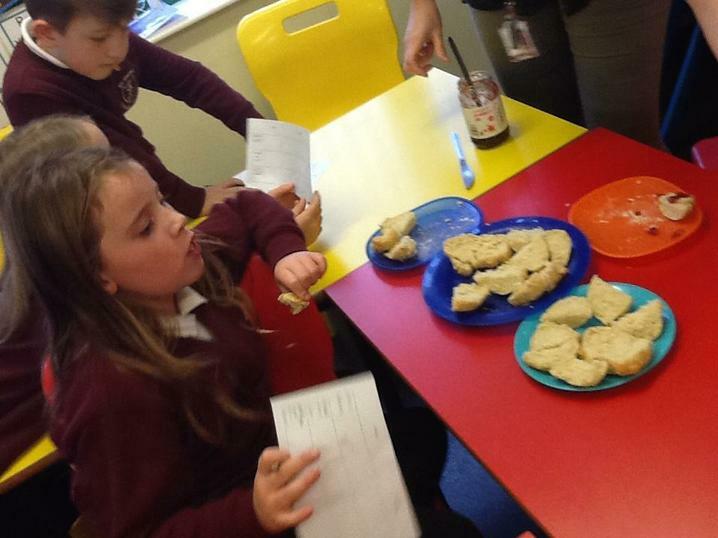 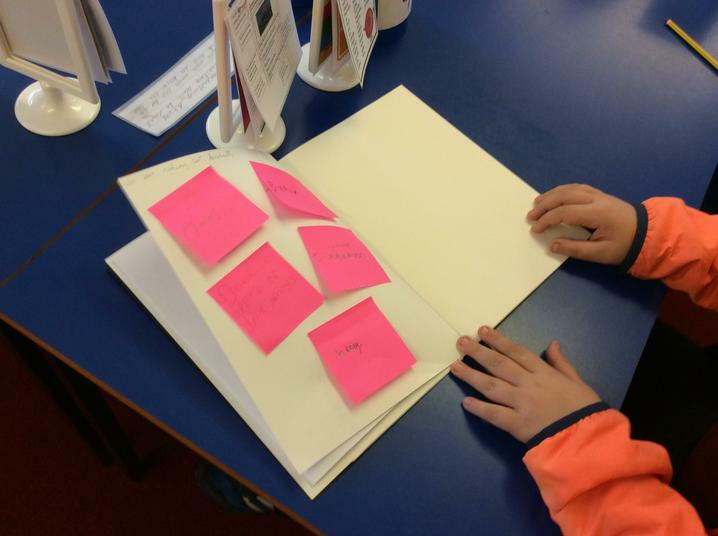 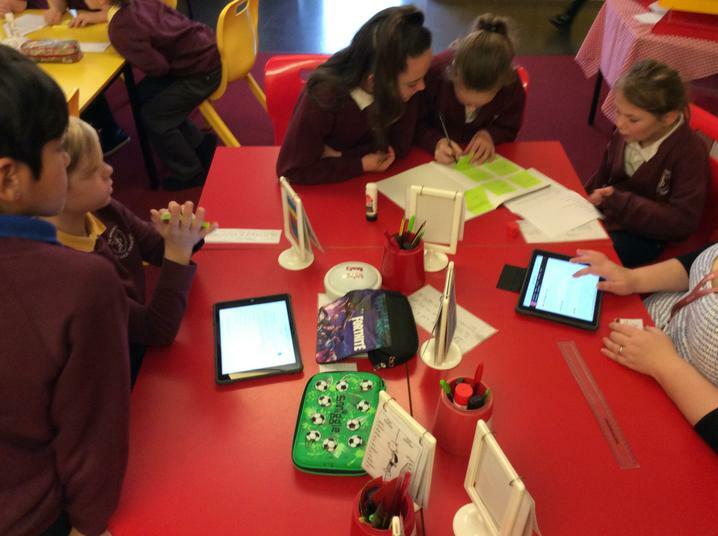 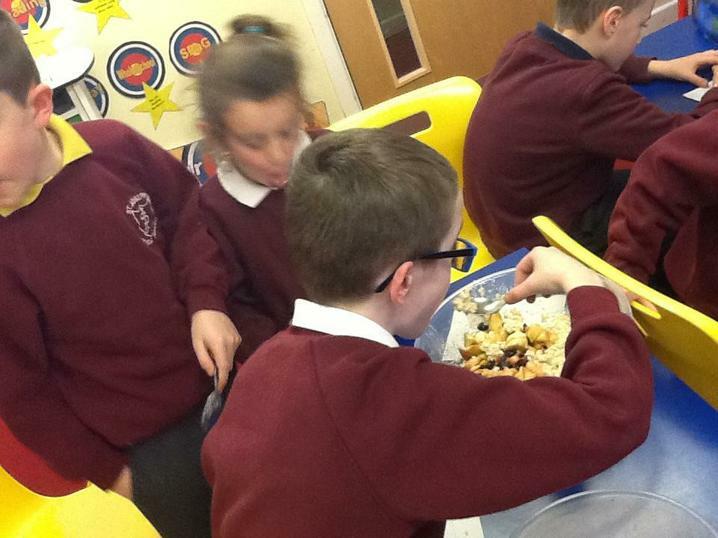 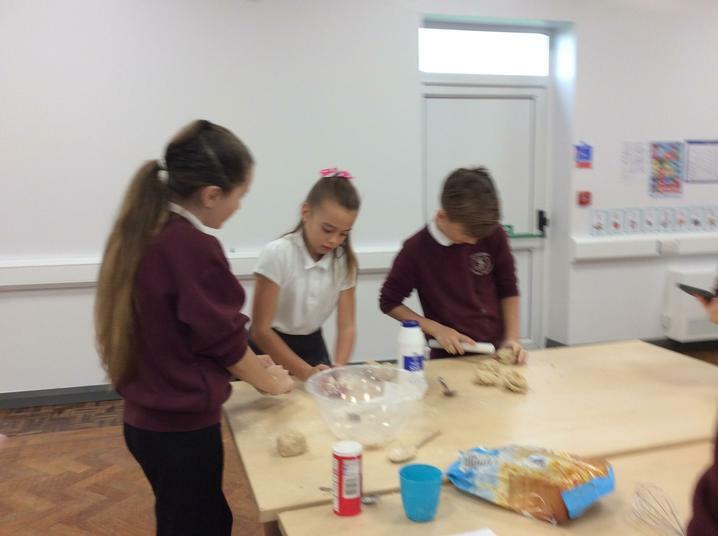 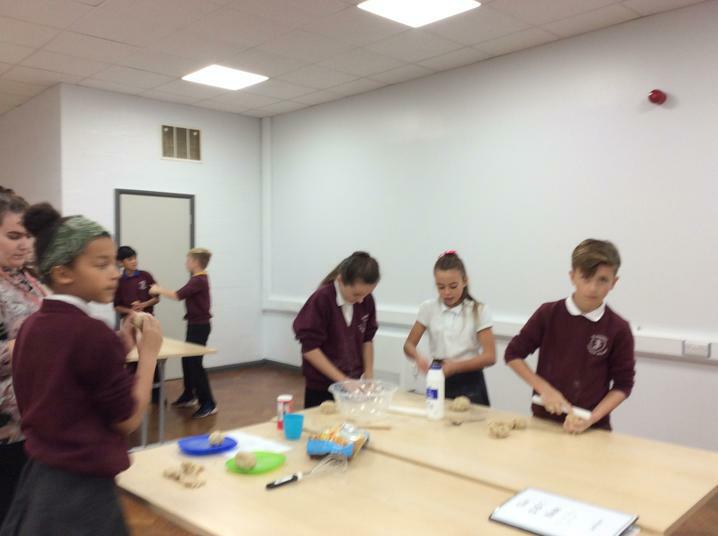 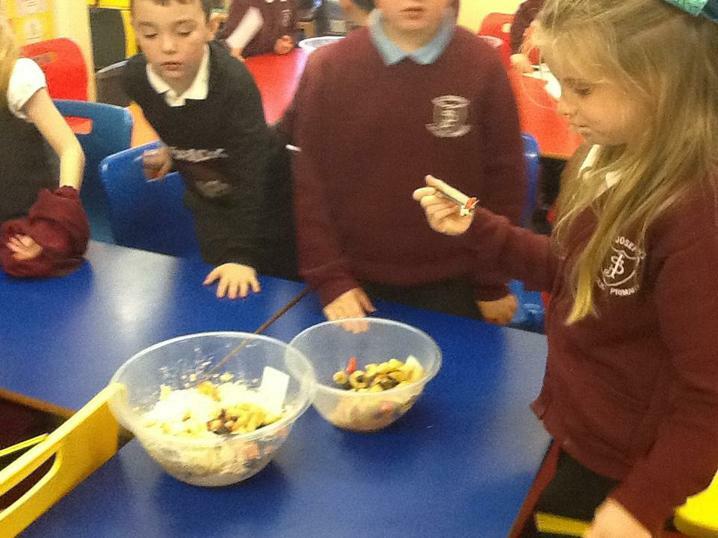 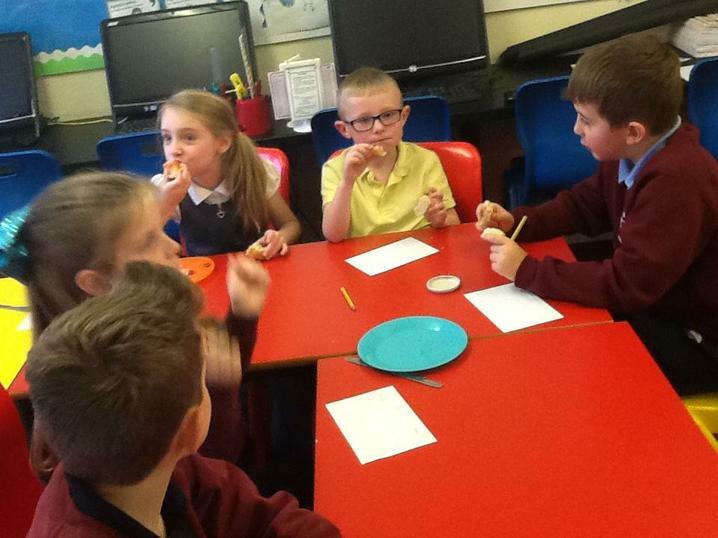 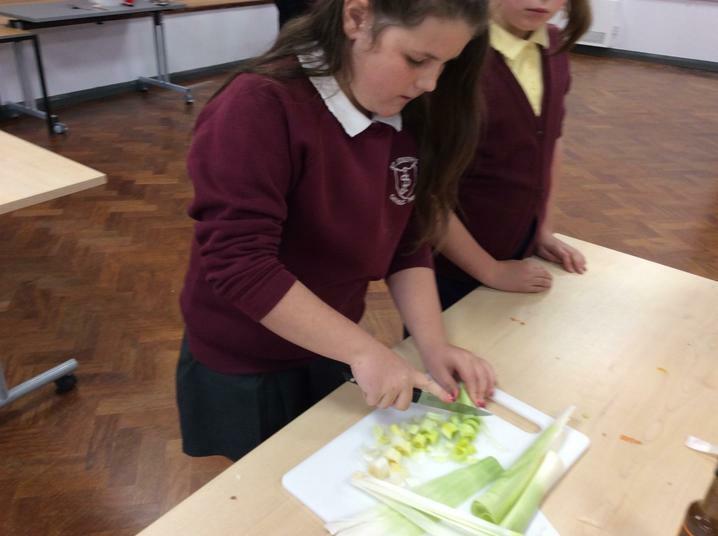 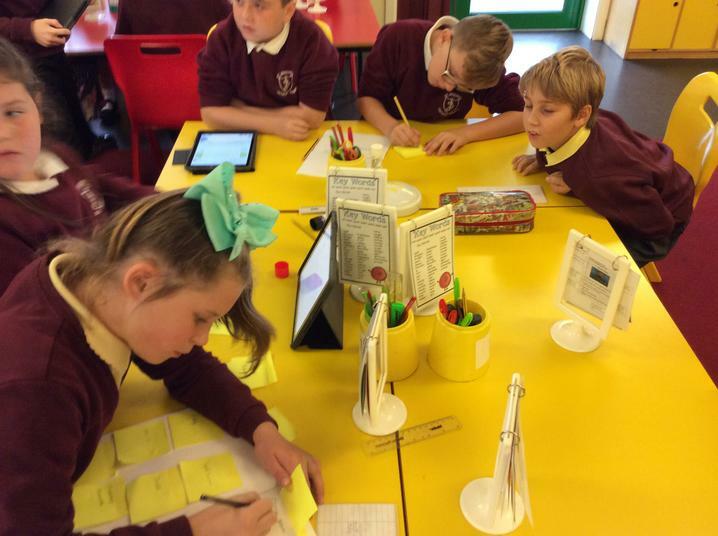 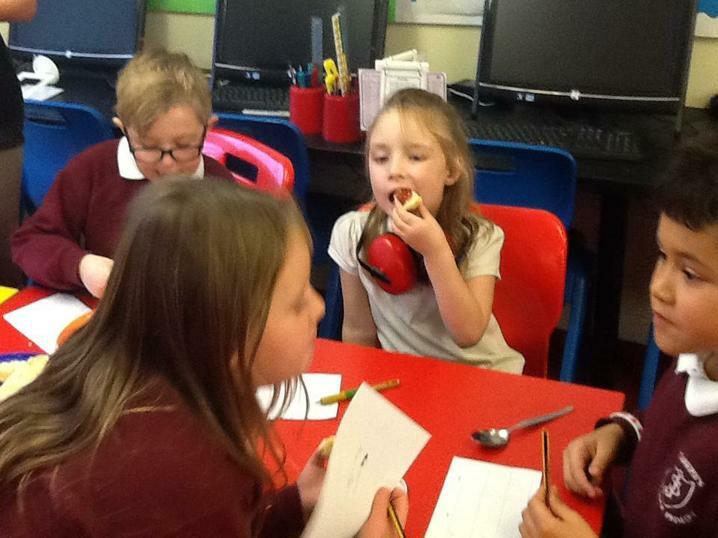 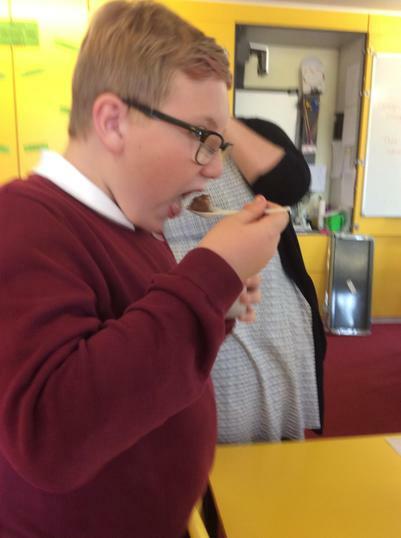 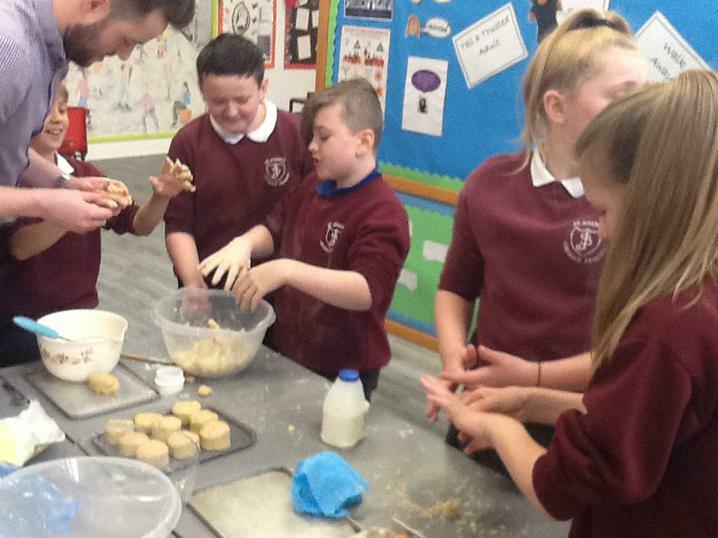 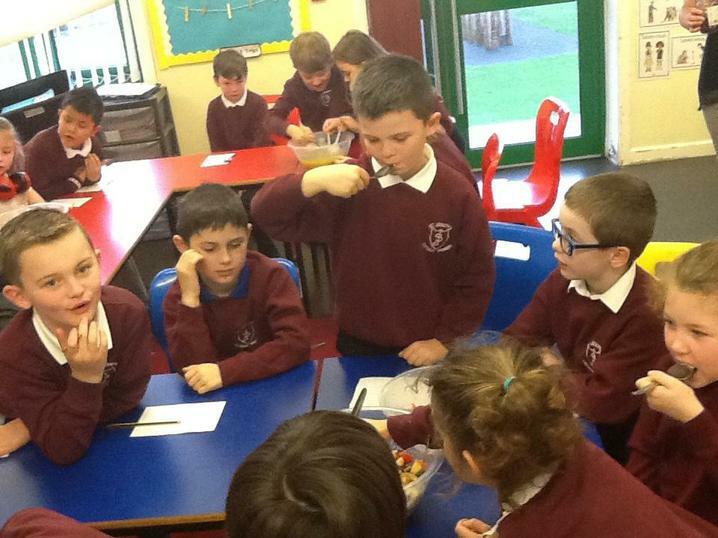 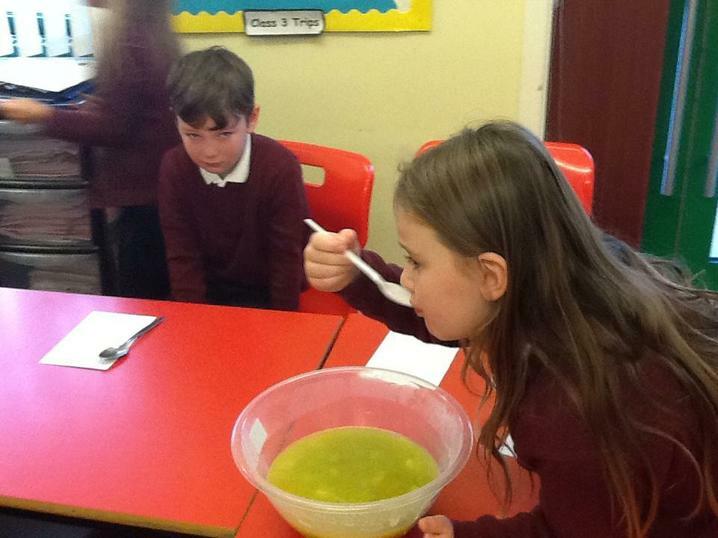 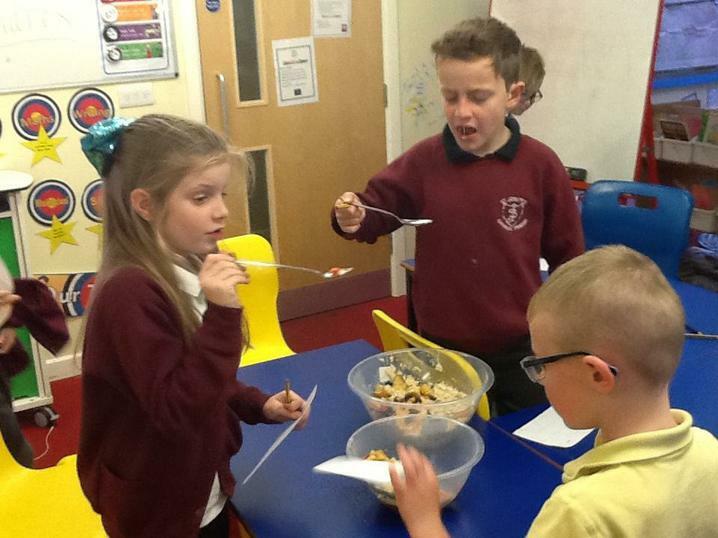 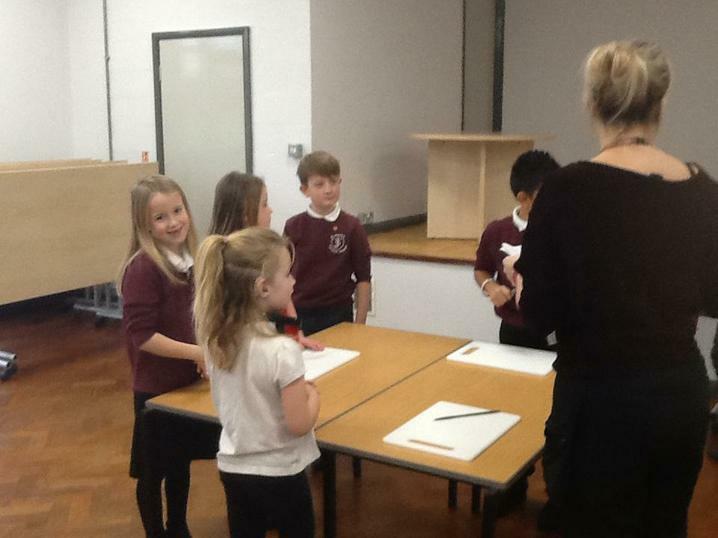 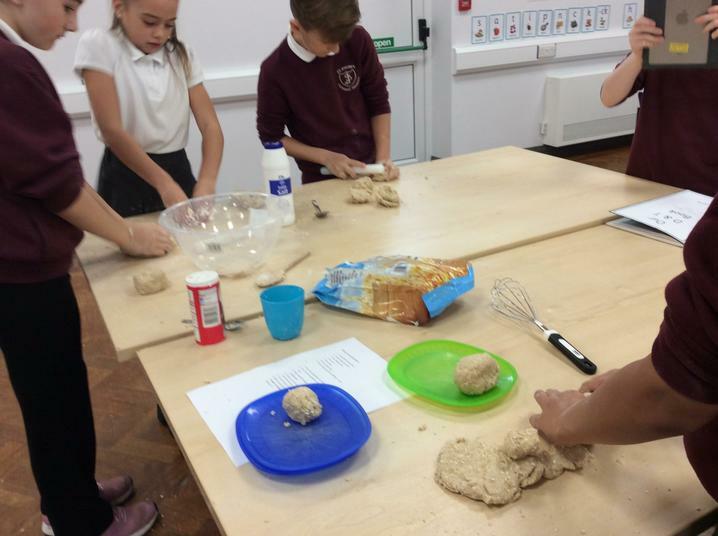 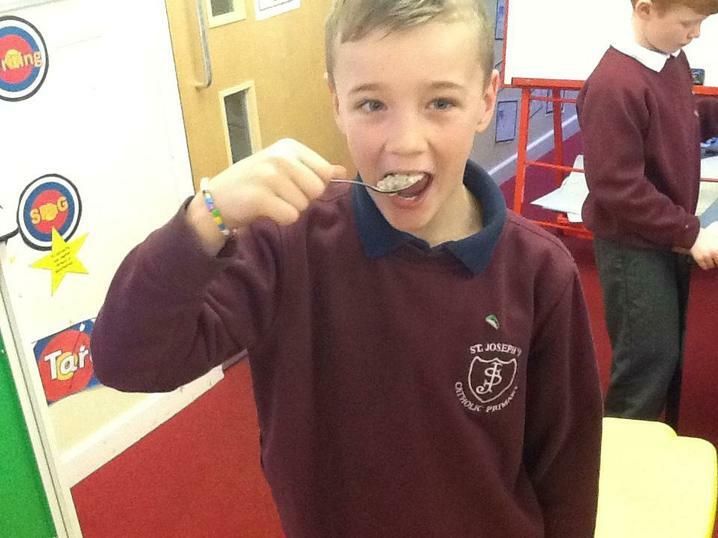 Class Four have been creating their own viking feasts. 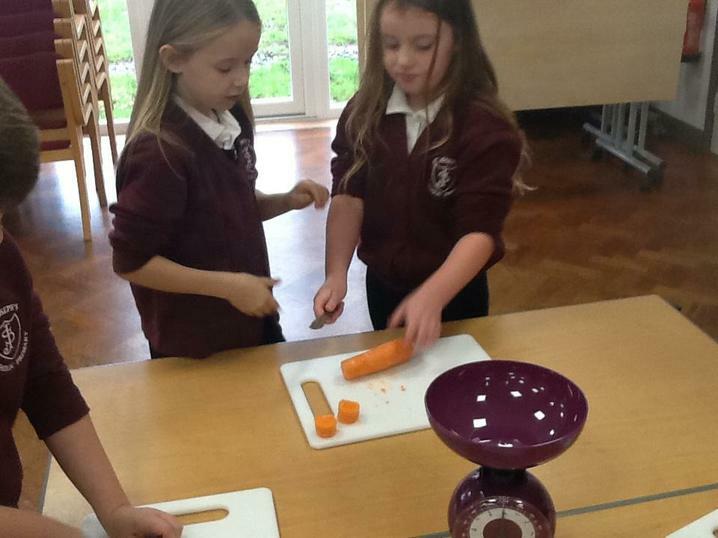 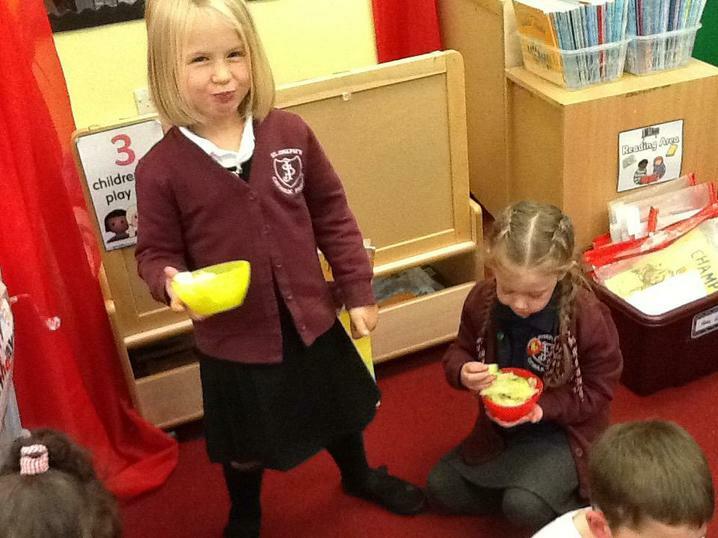 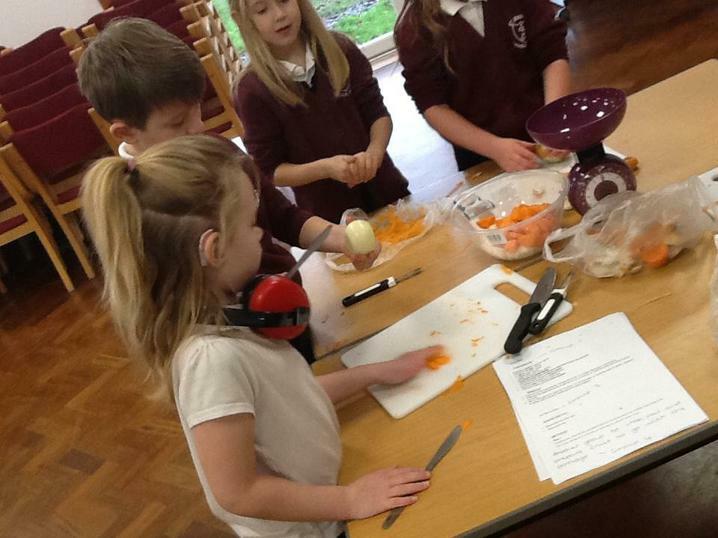 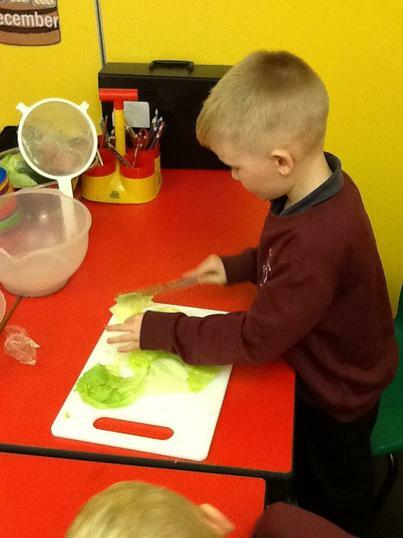 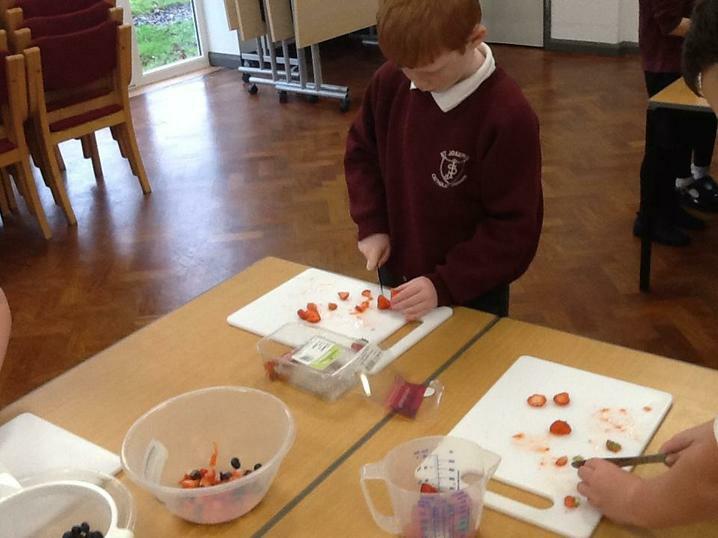 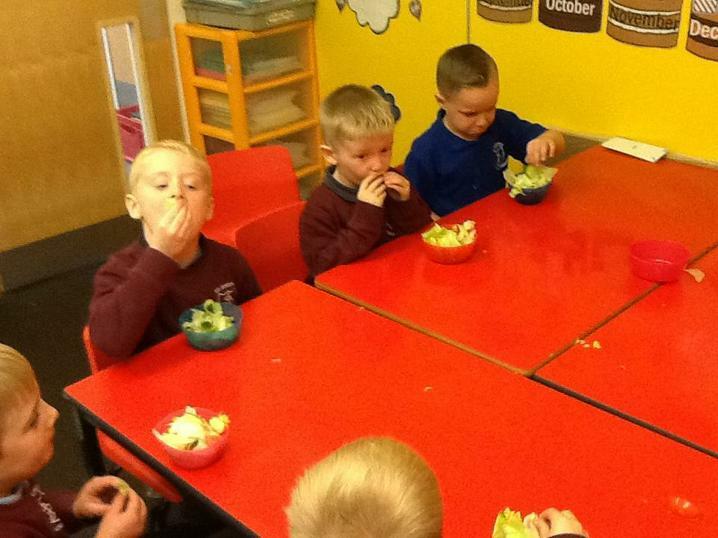 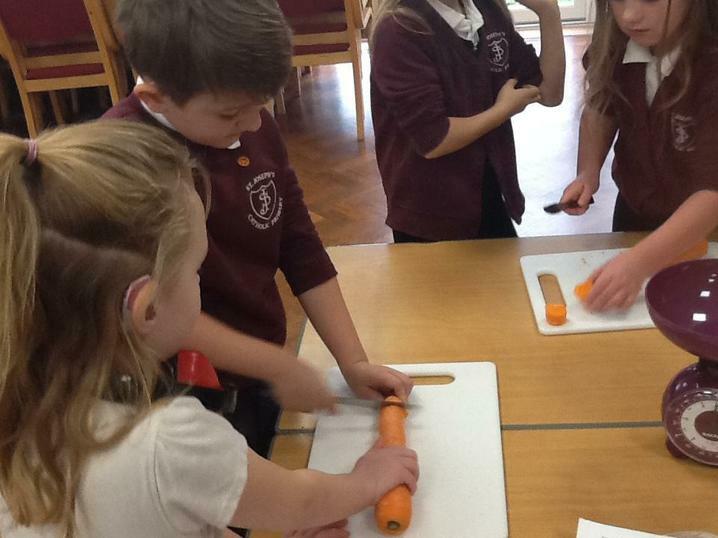 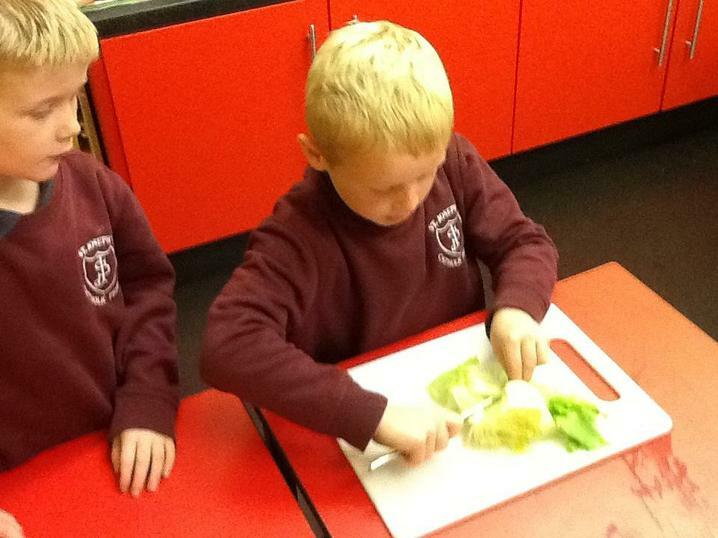 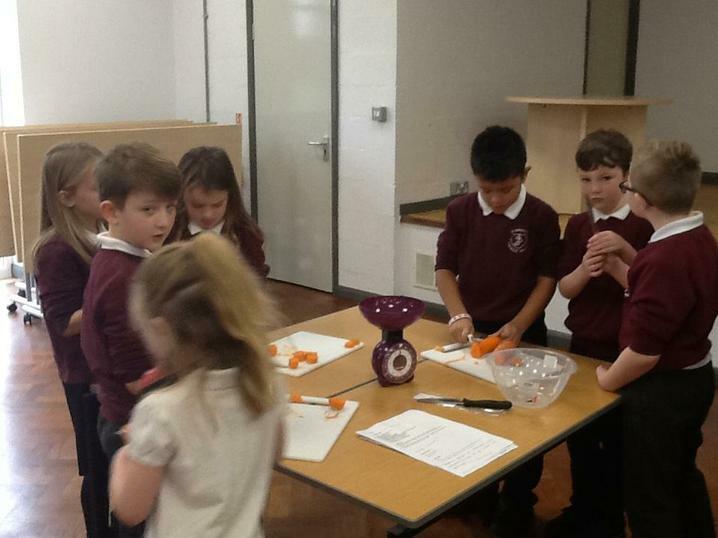 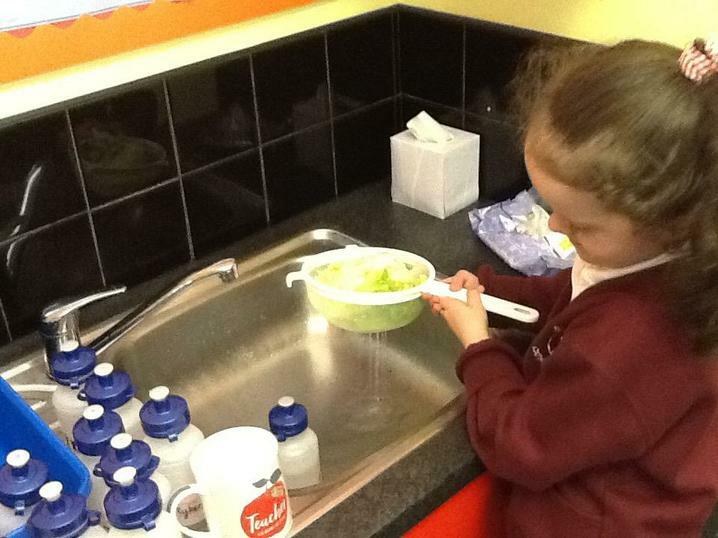 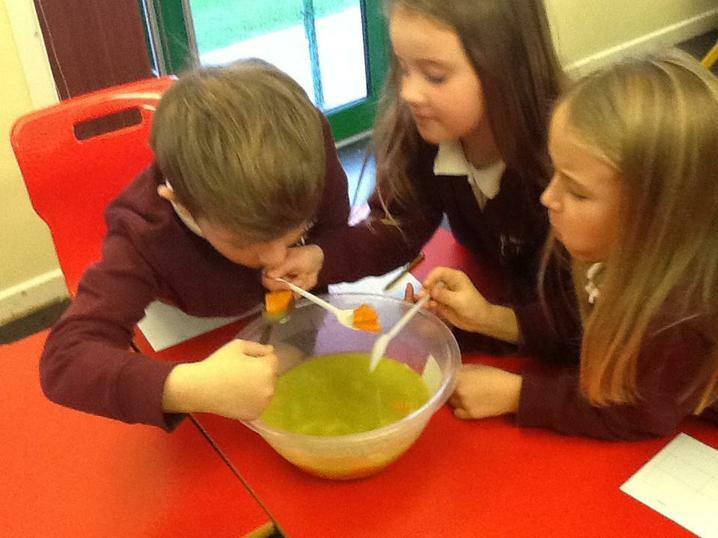 Class One have been cutting, slicing and washing their own snack!